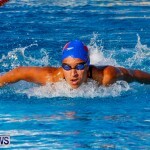 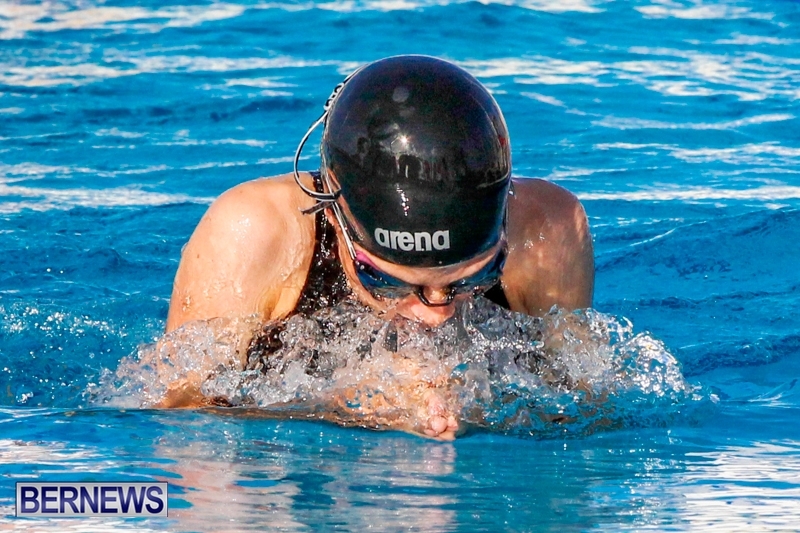 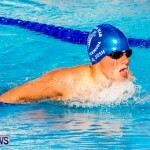 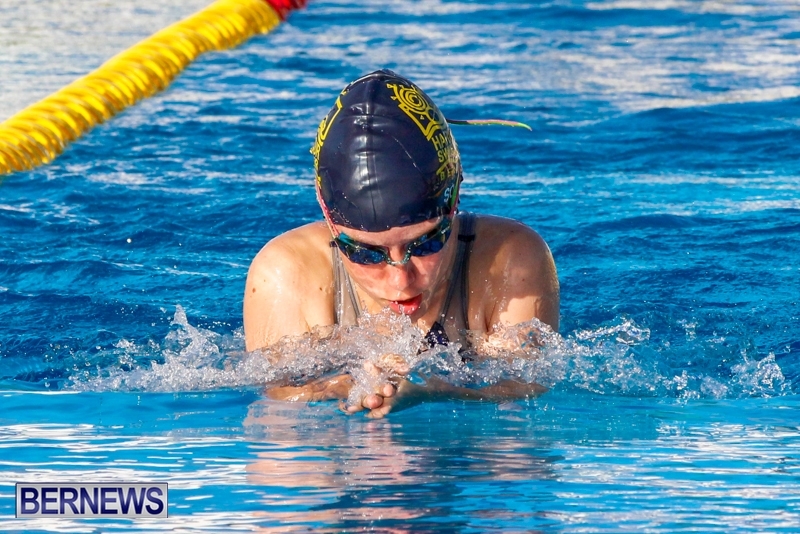 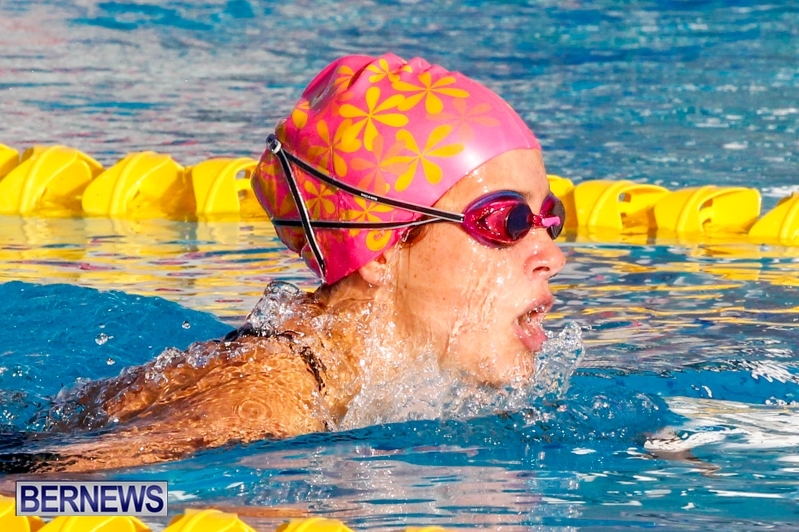 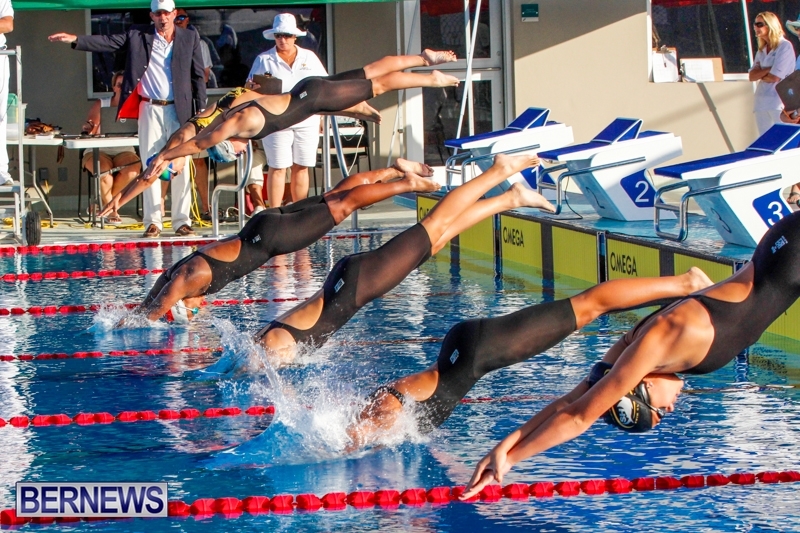 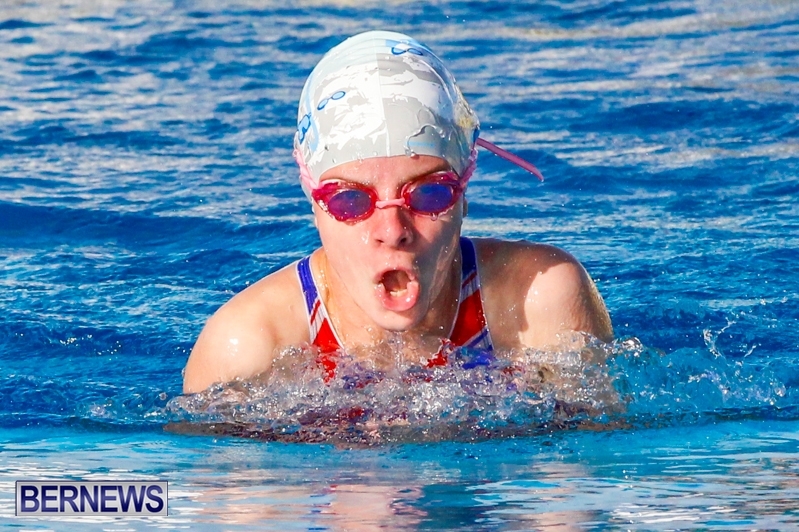 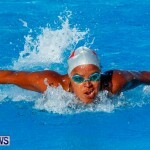 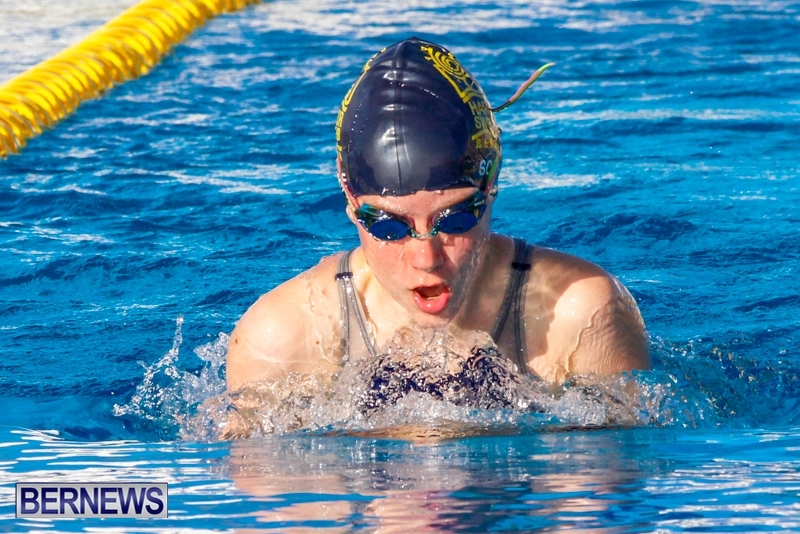 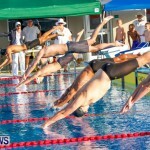 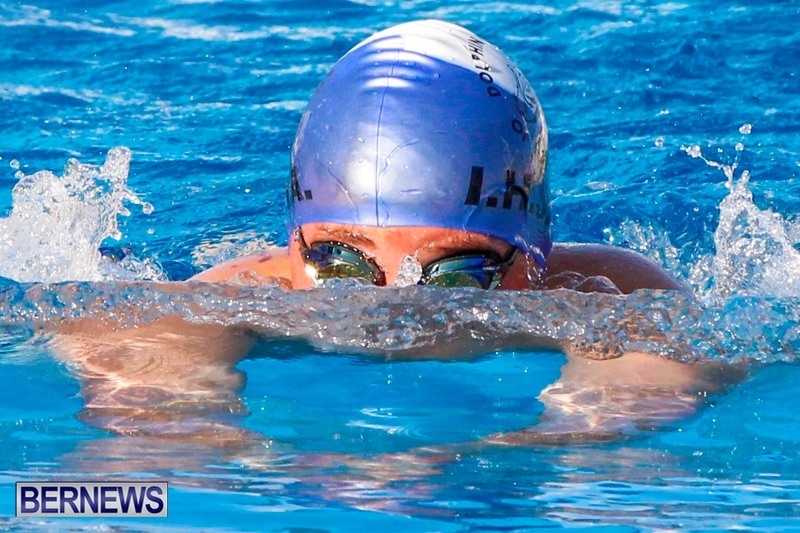 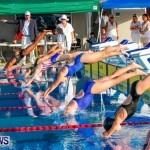 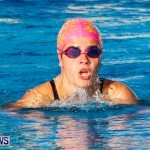 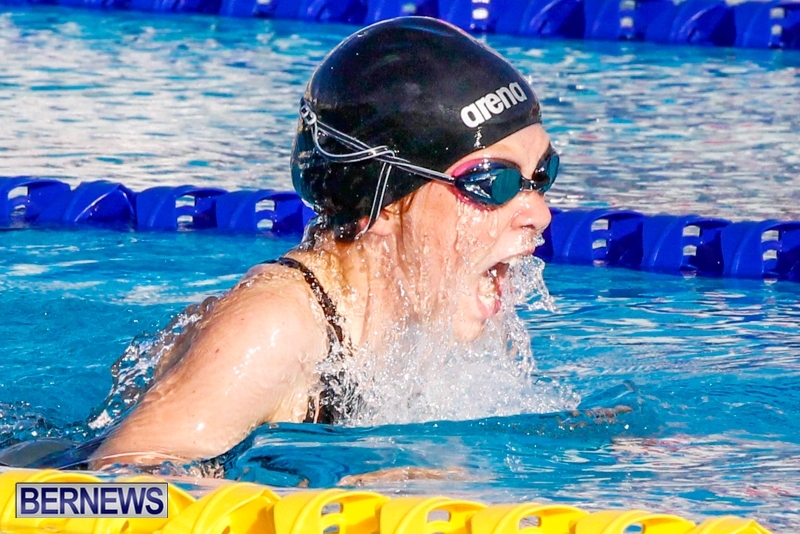 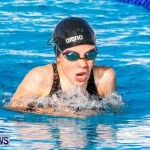 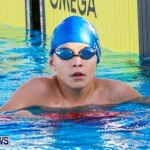 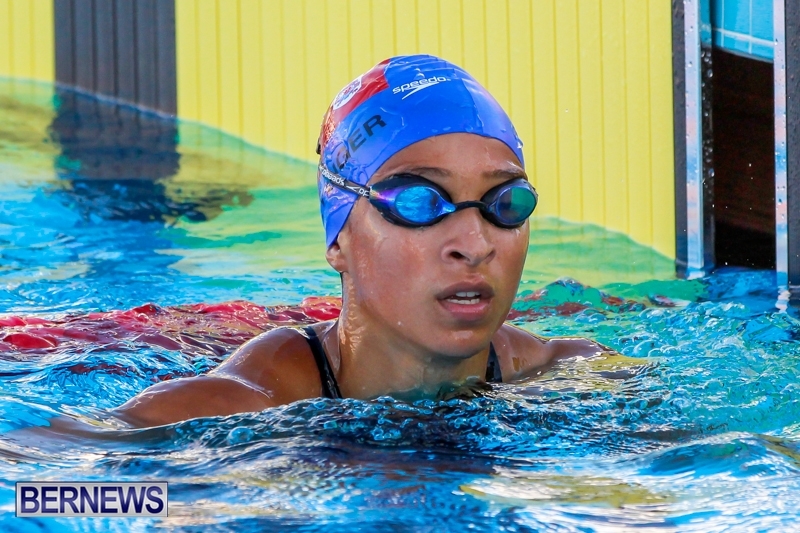 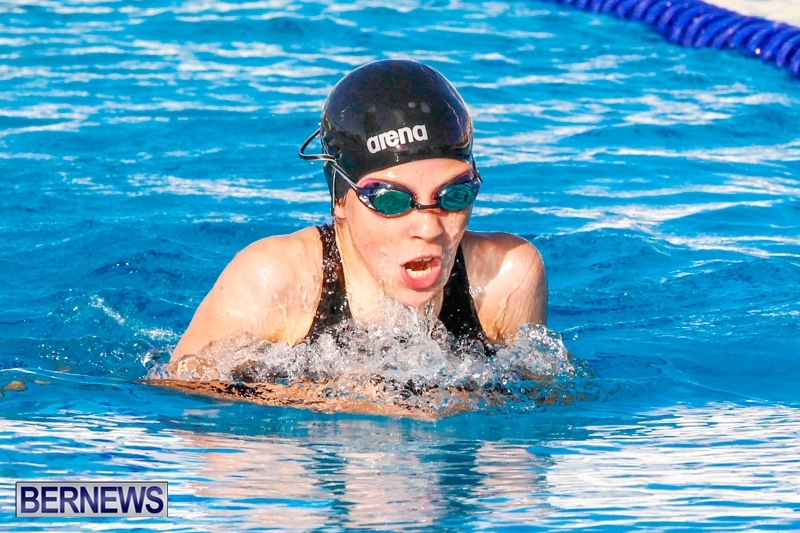 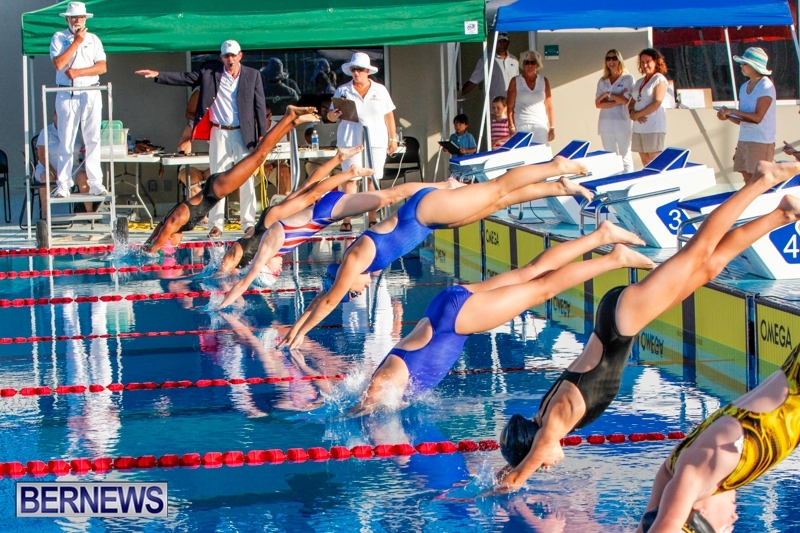 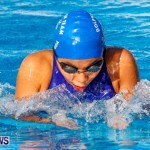 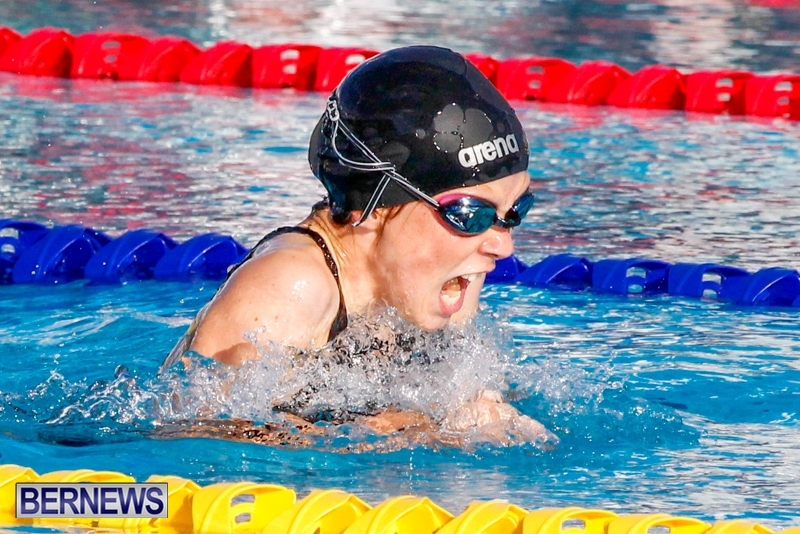 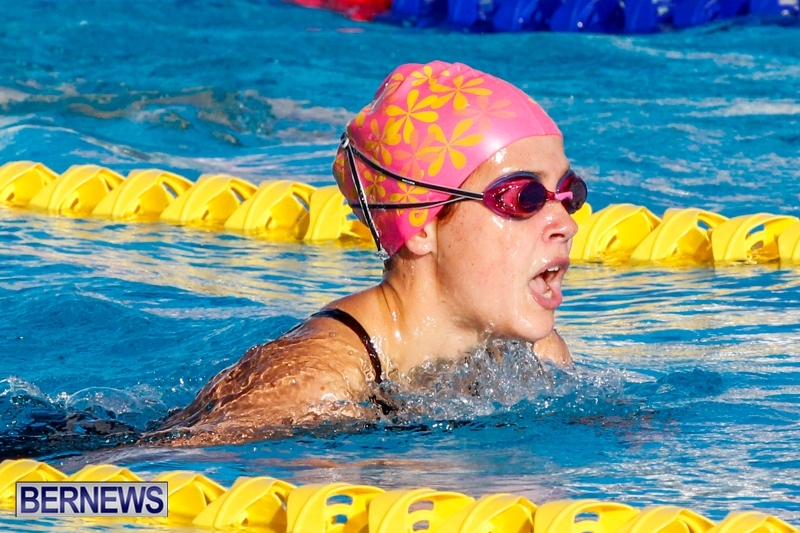 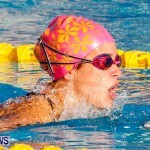 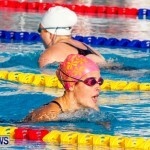 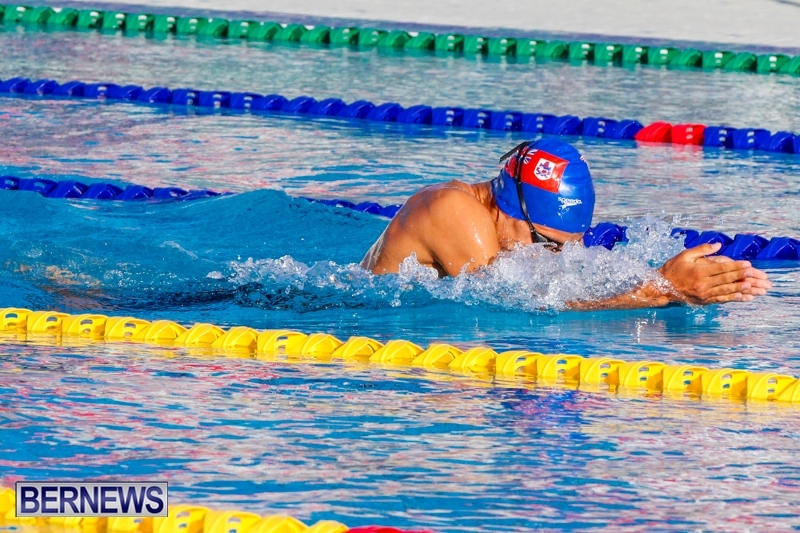 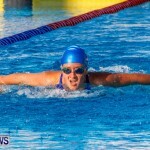 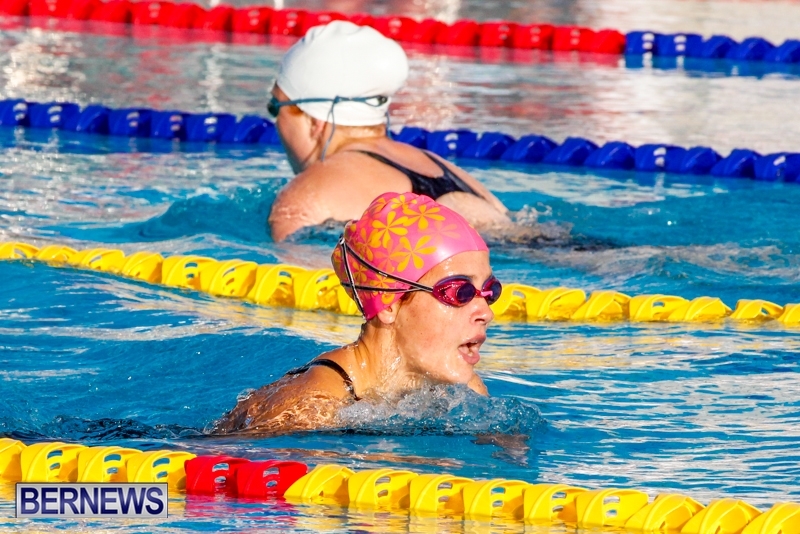 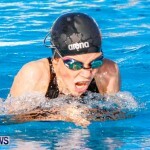 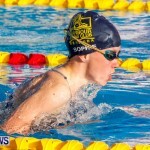 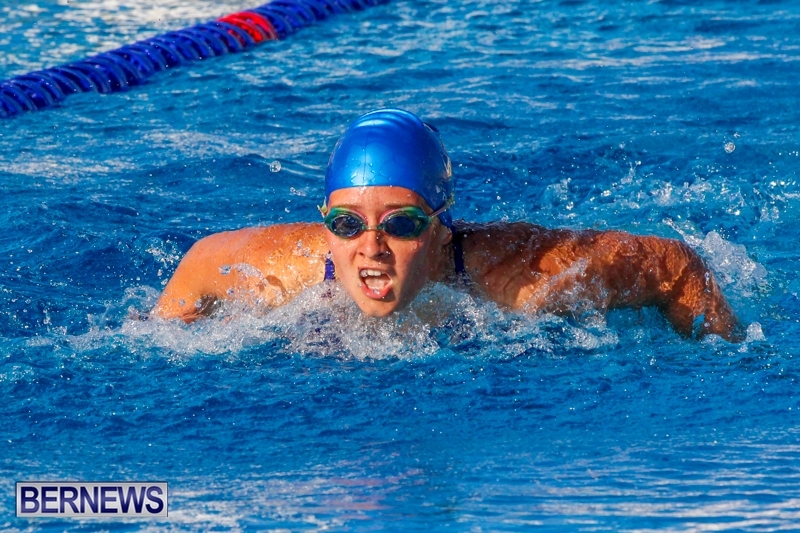 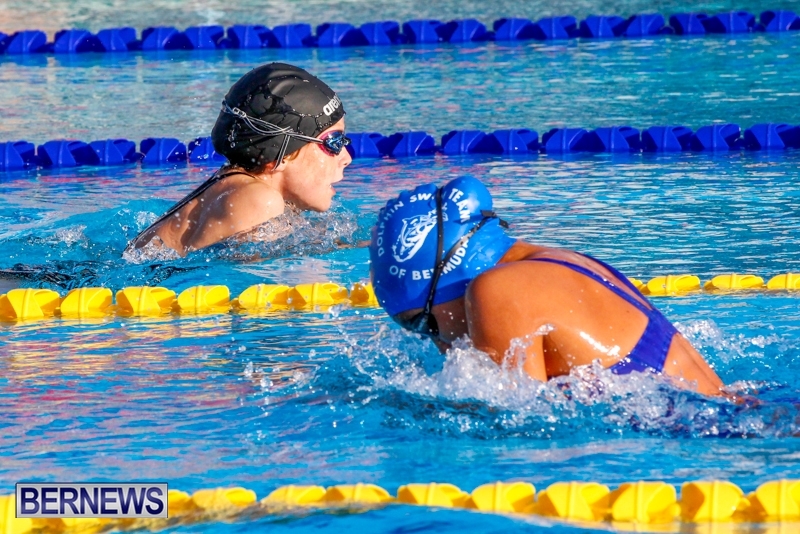 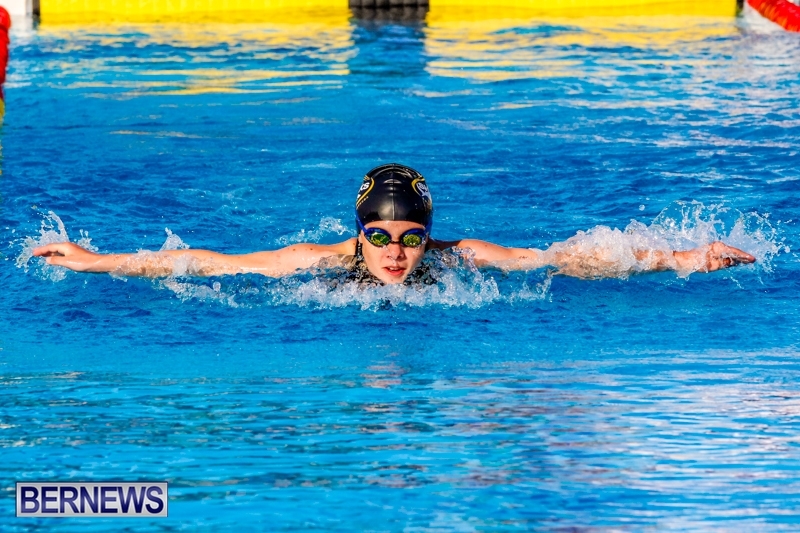 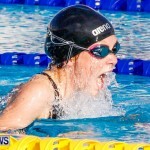 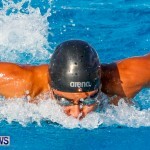 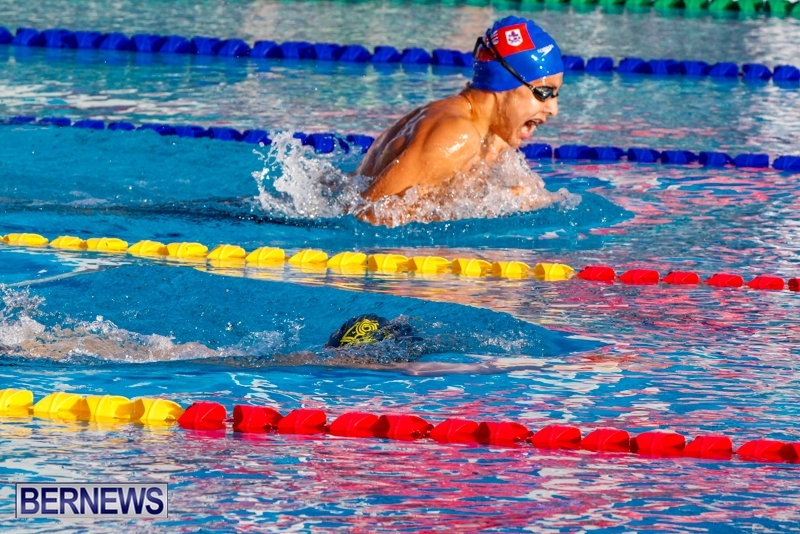 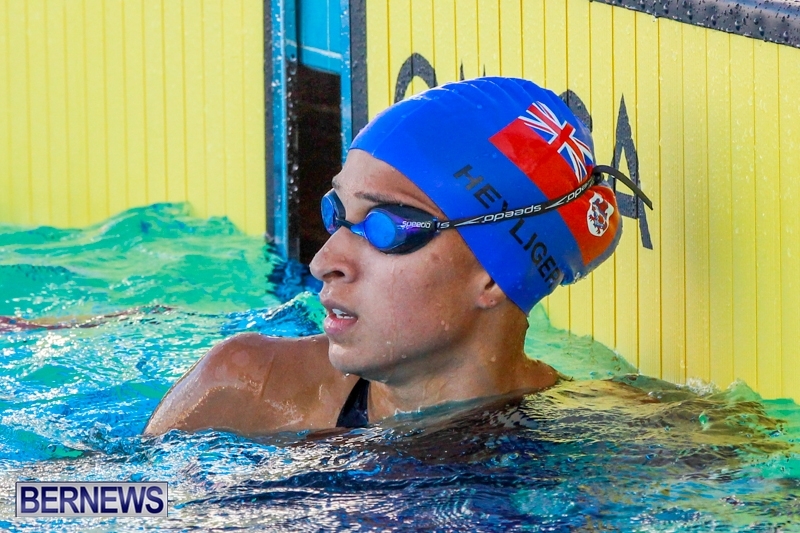 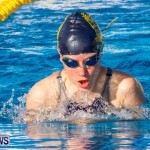 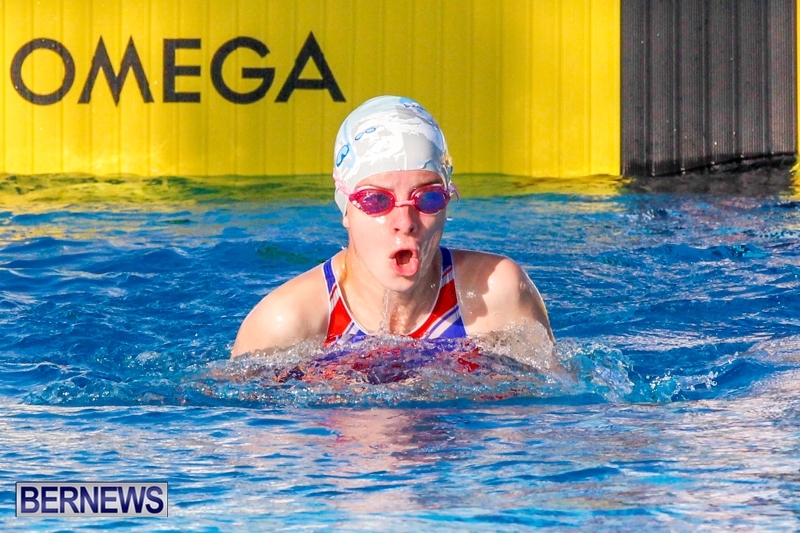 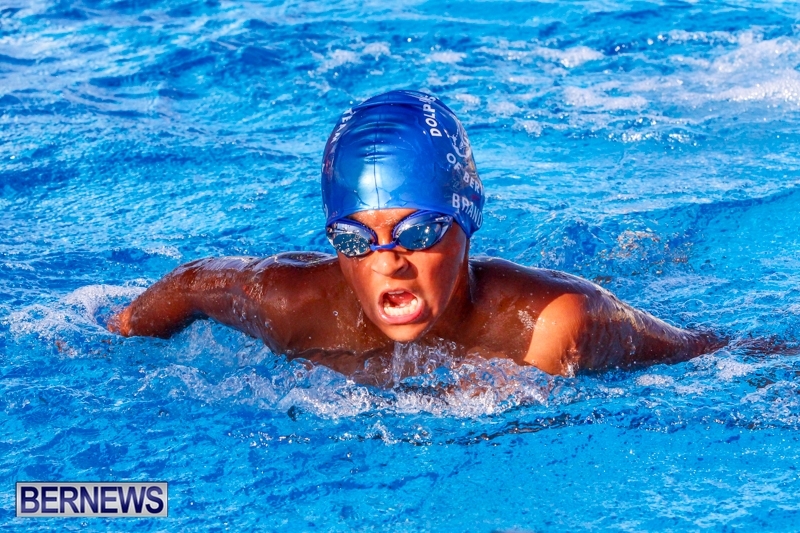 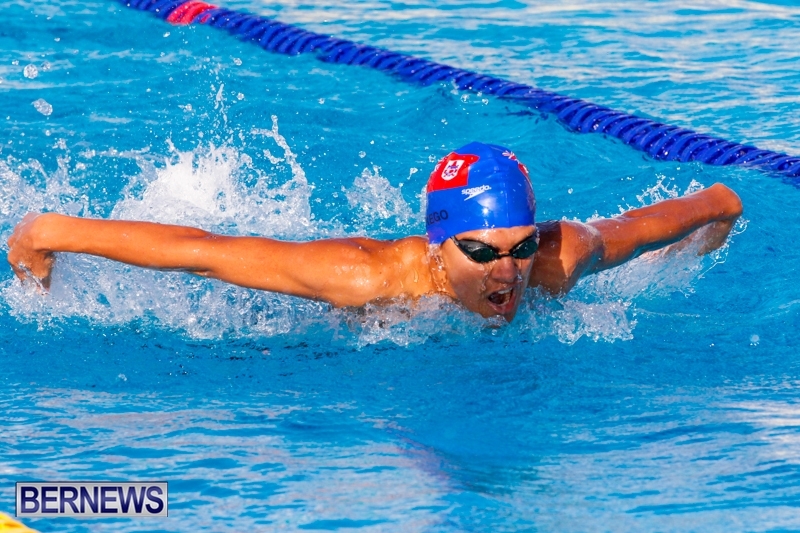 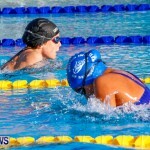 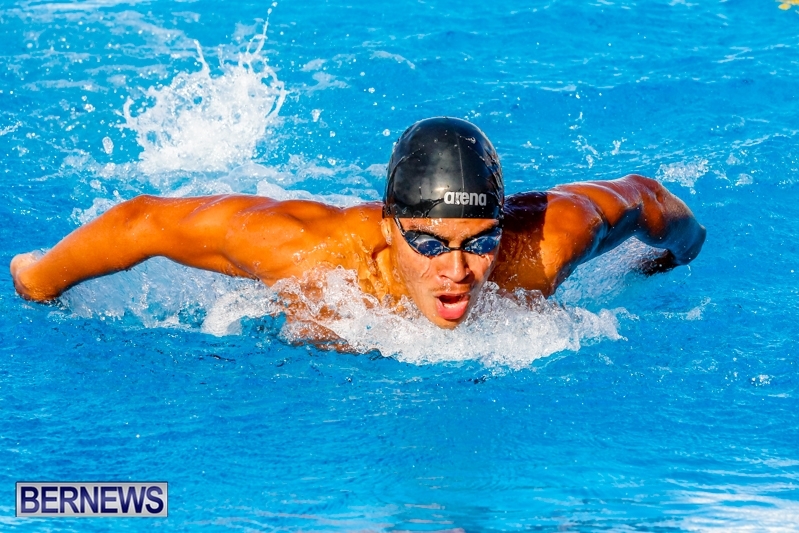 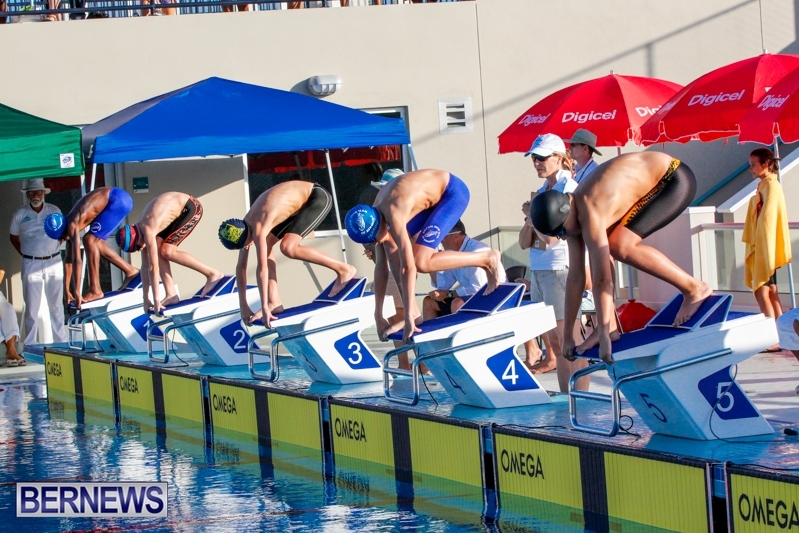 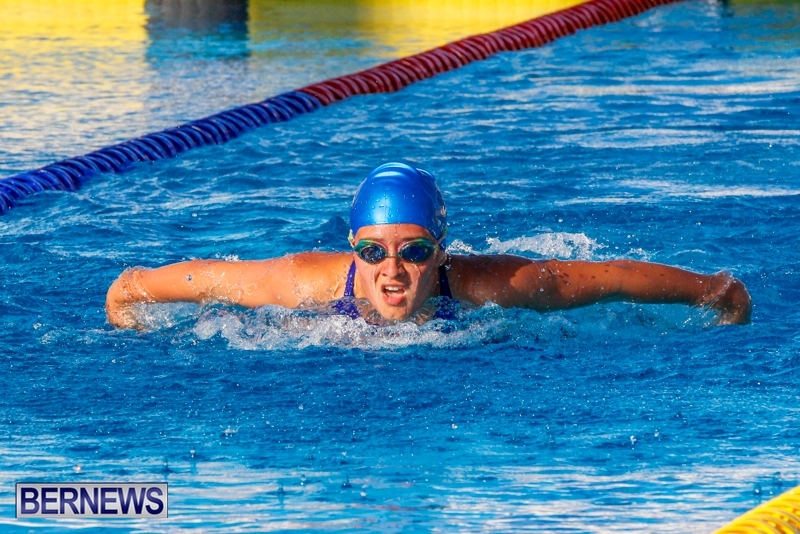 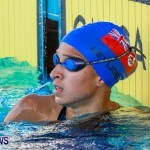 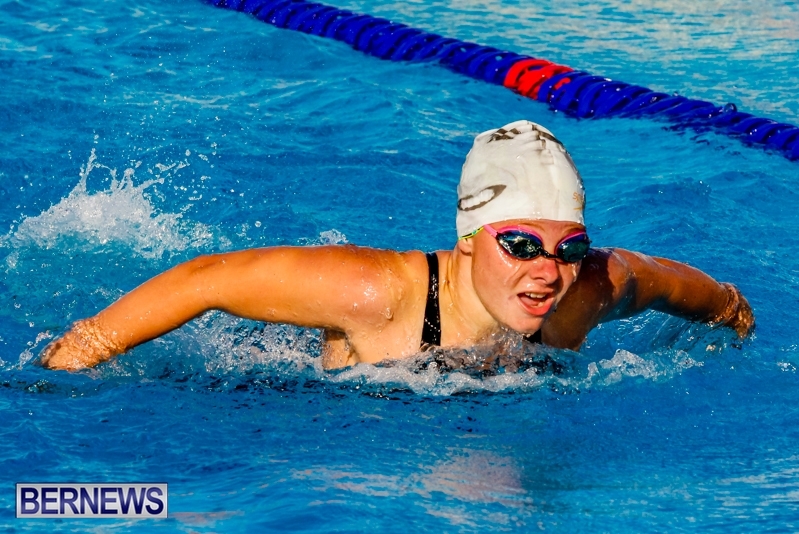 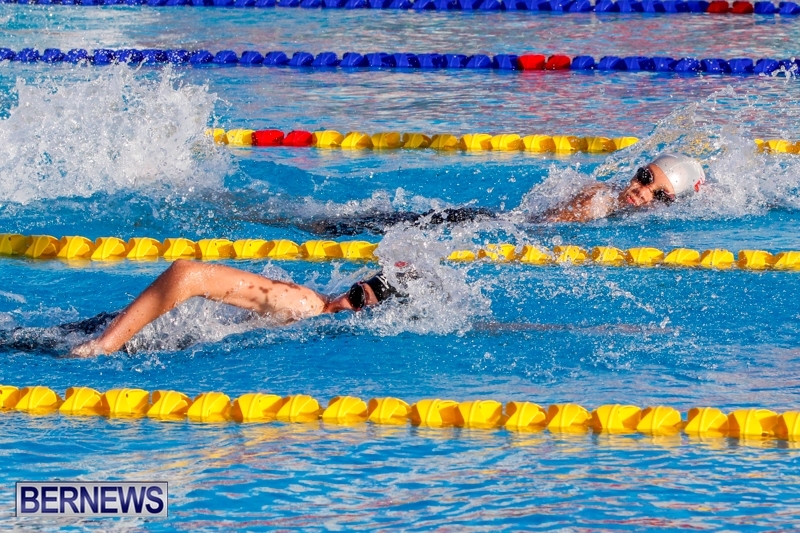 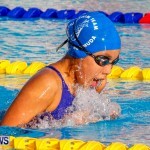 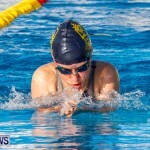 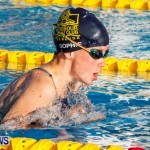 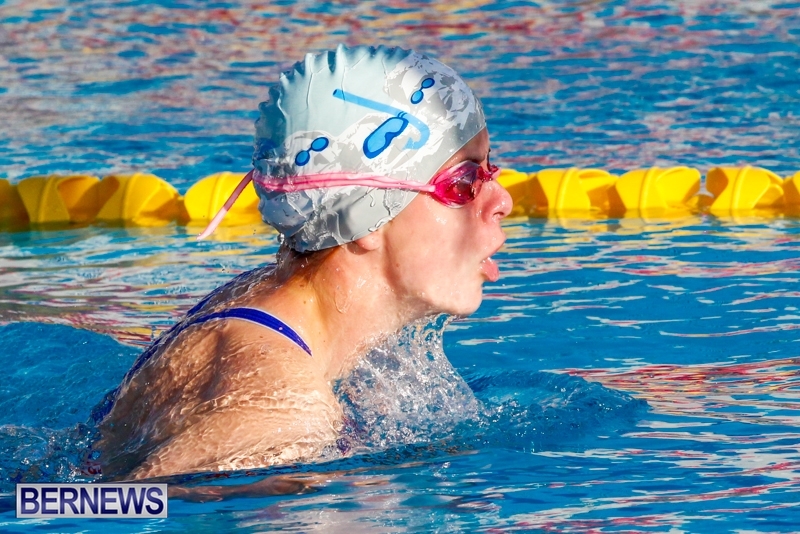 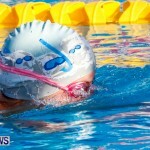 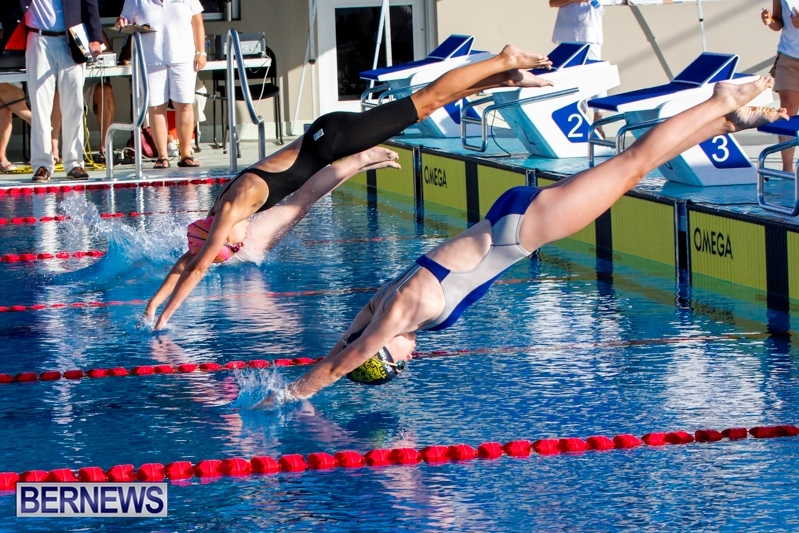 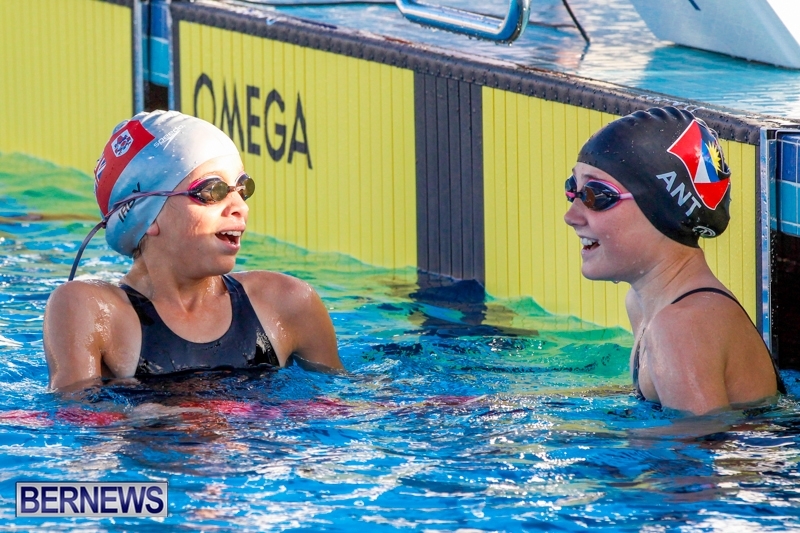 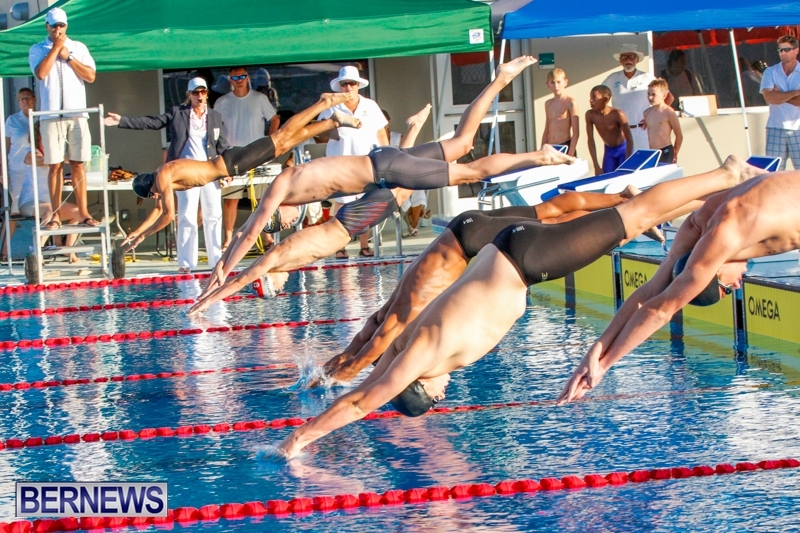 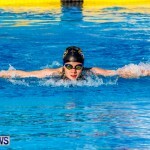 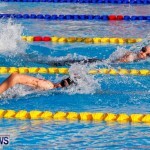 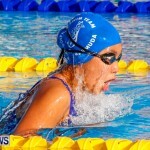 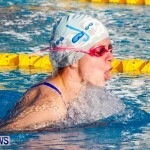 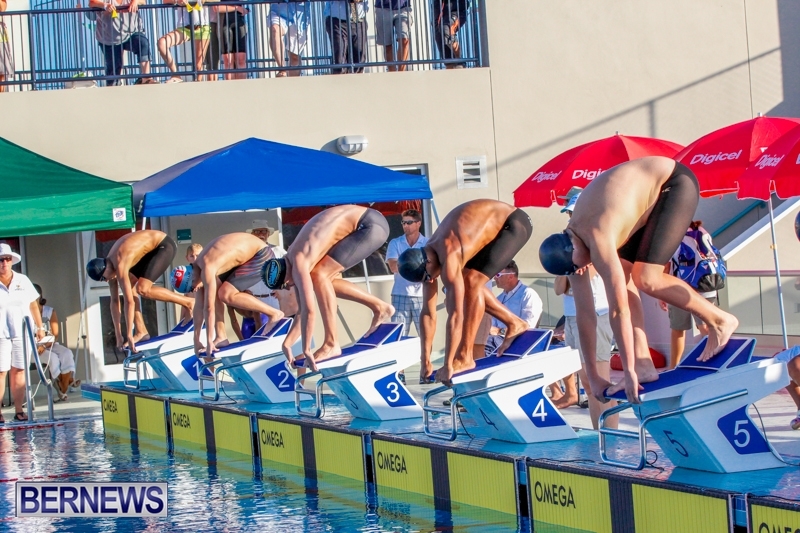 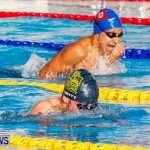 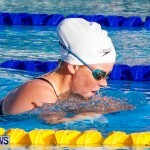 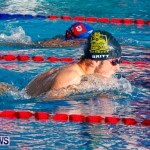 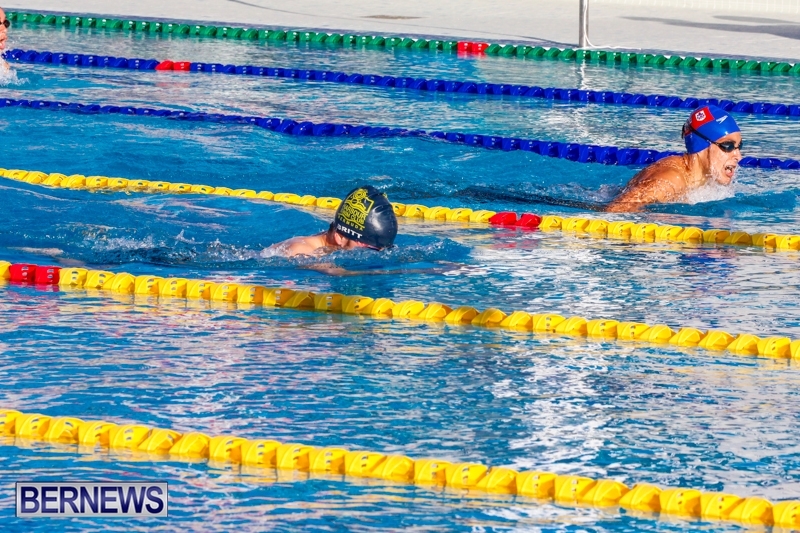 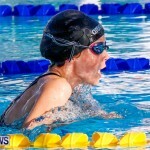 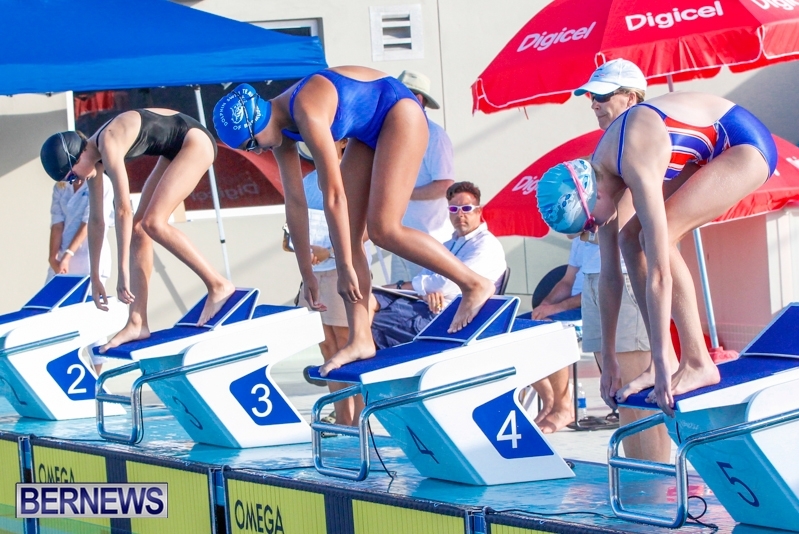 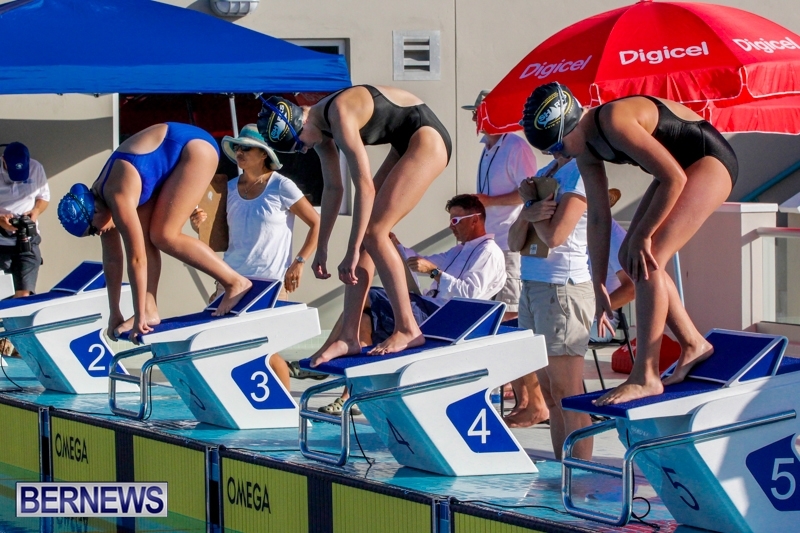 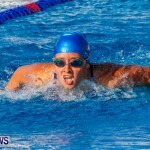 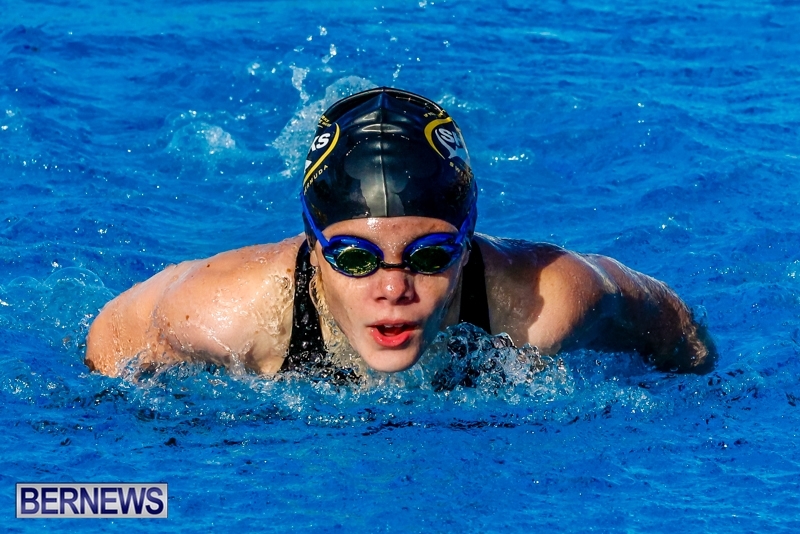 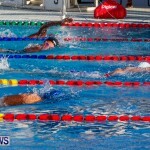 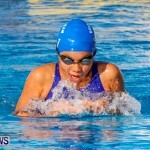 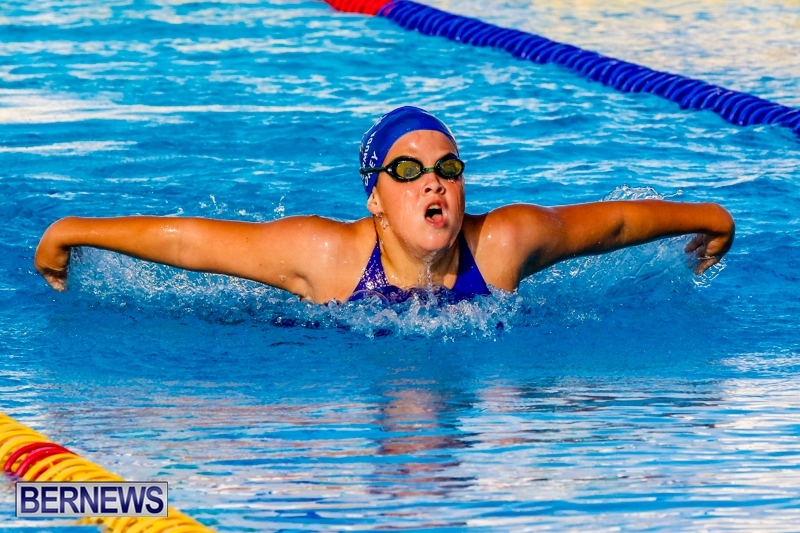 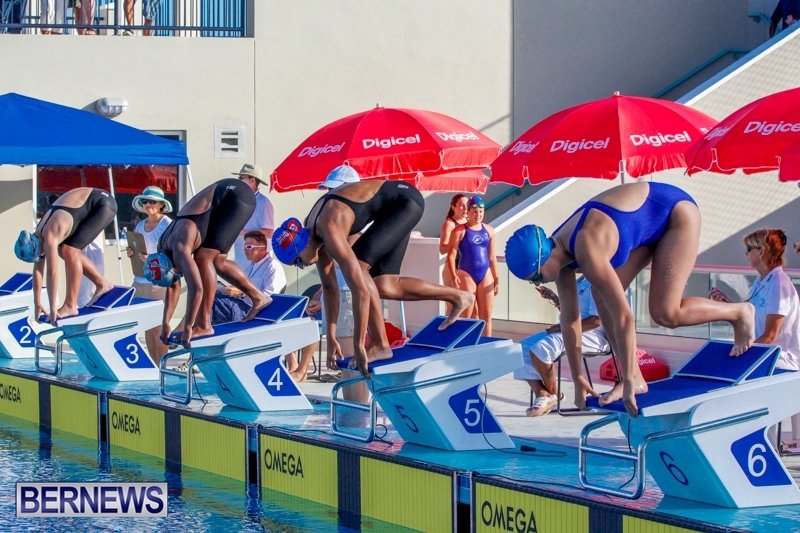 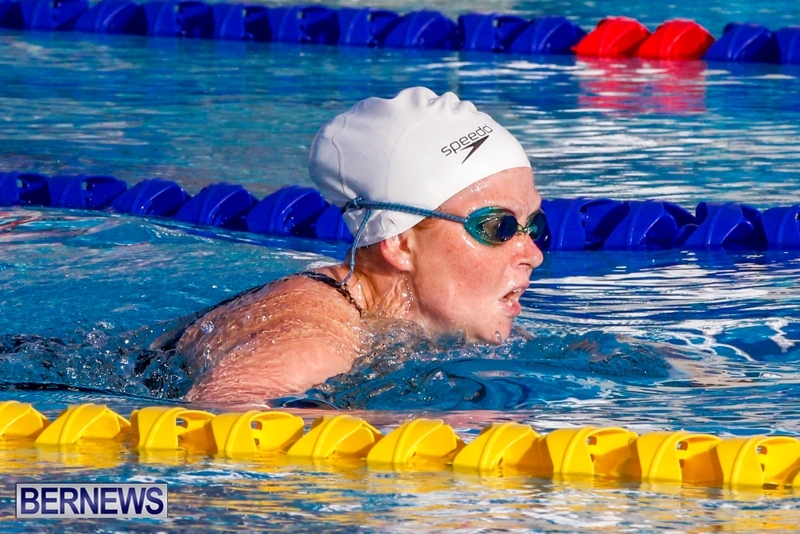 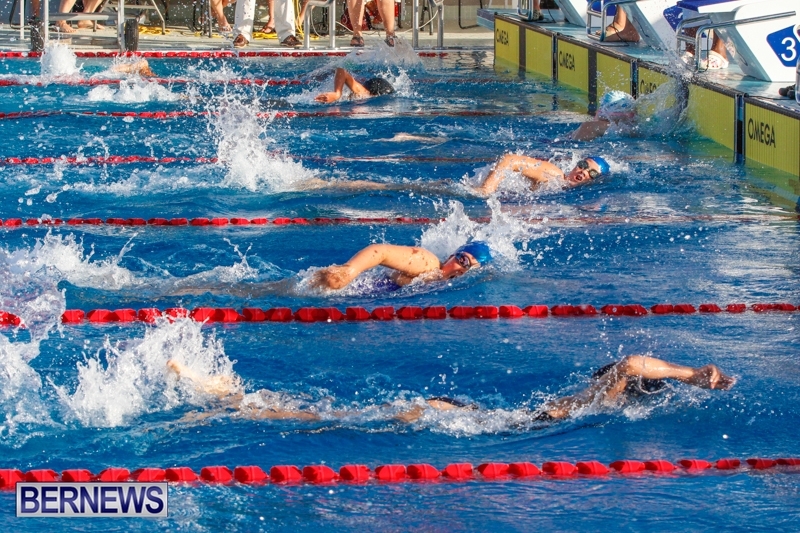 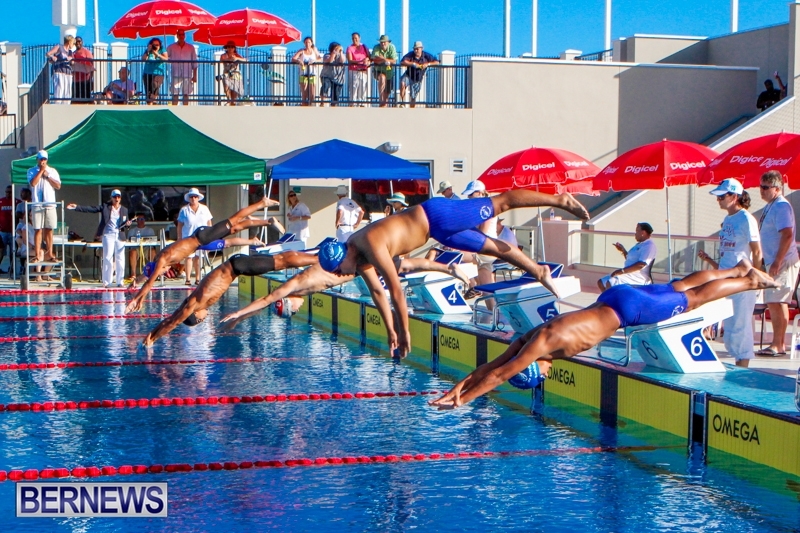 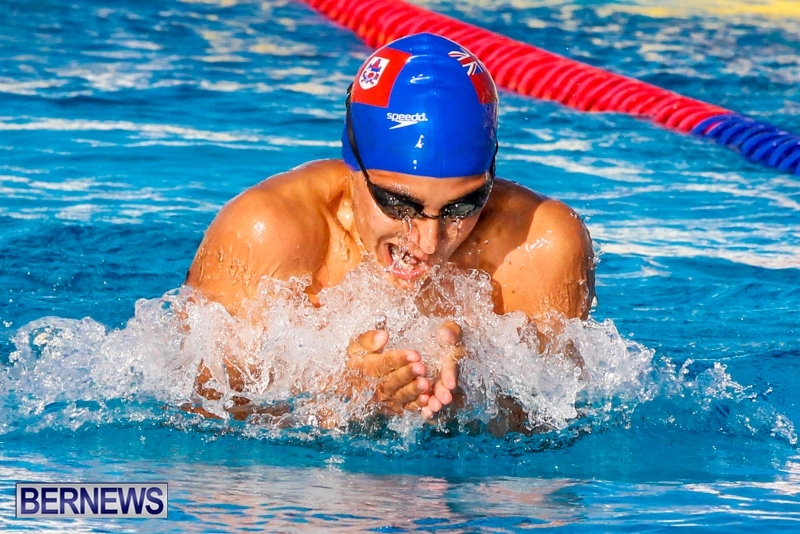 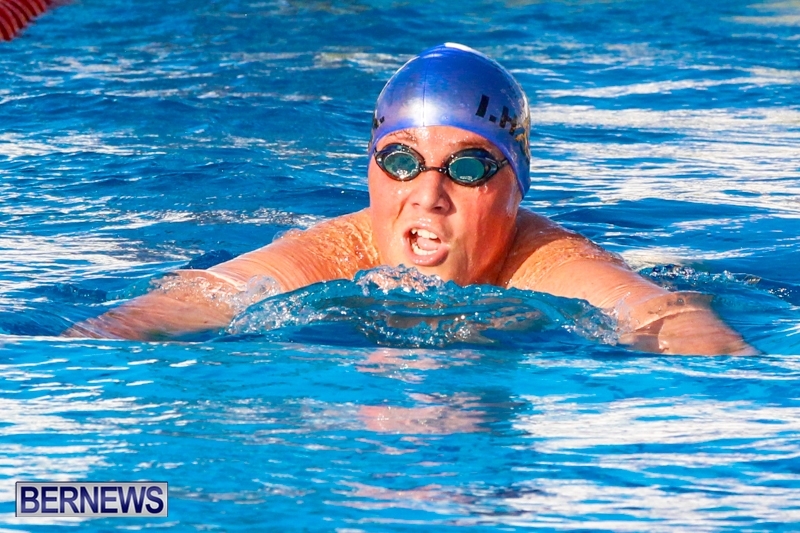 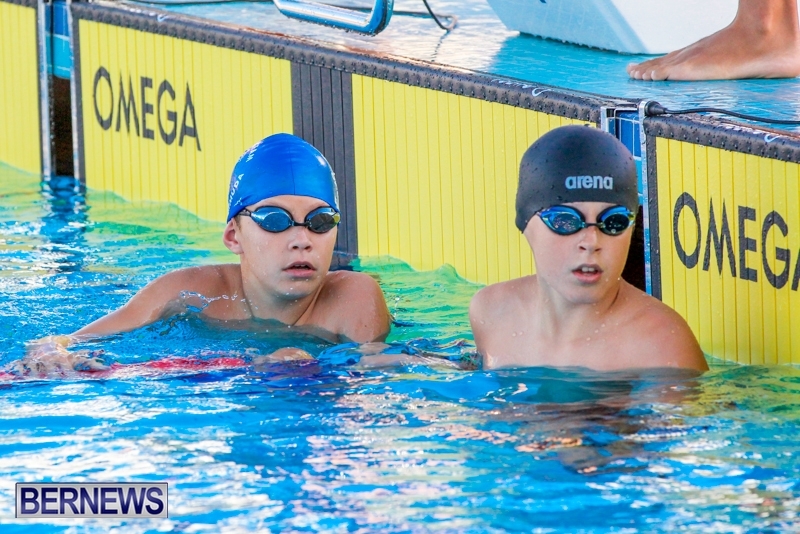 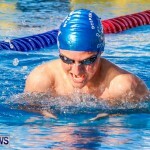 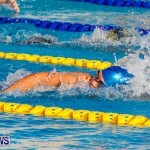 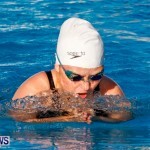 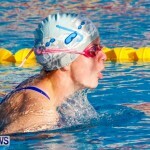 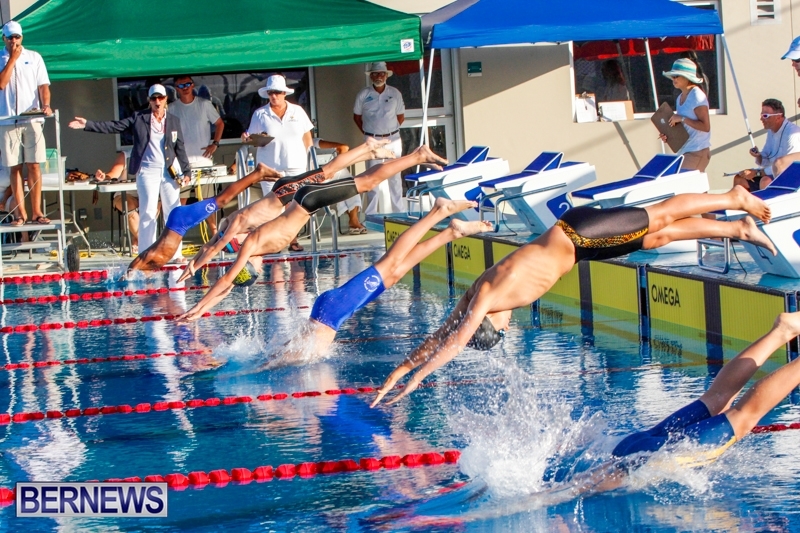 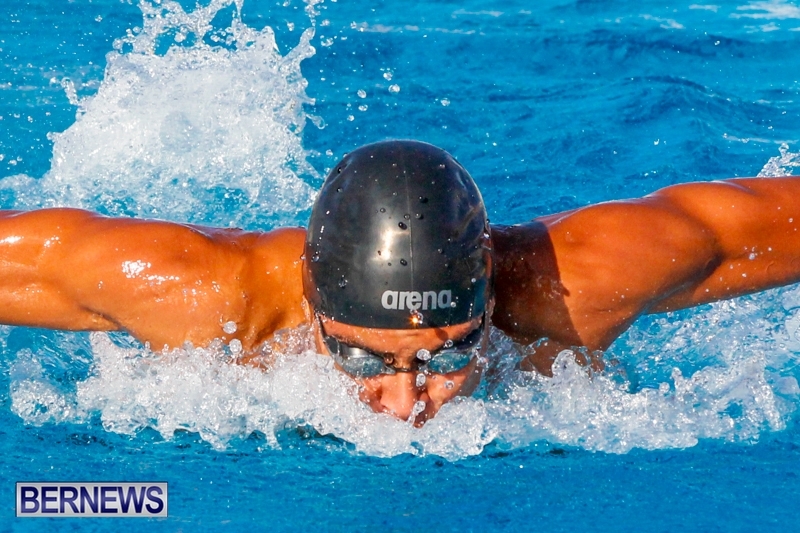 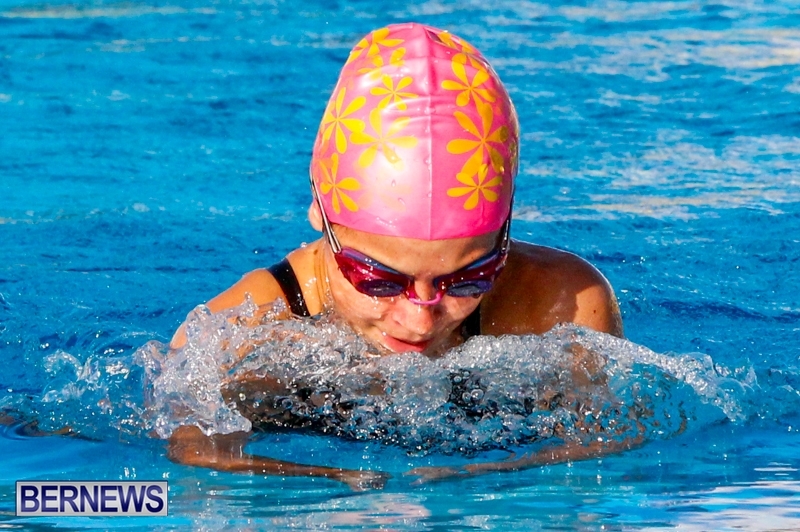 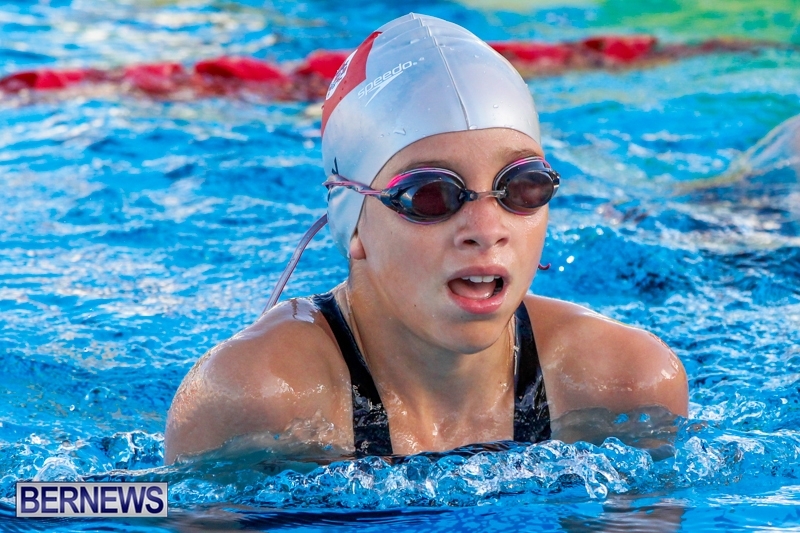 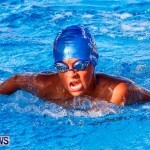 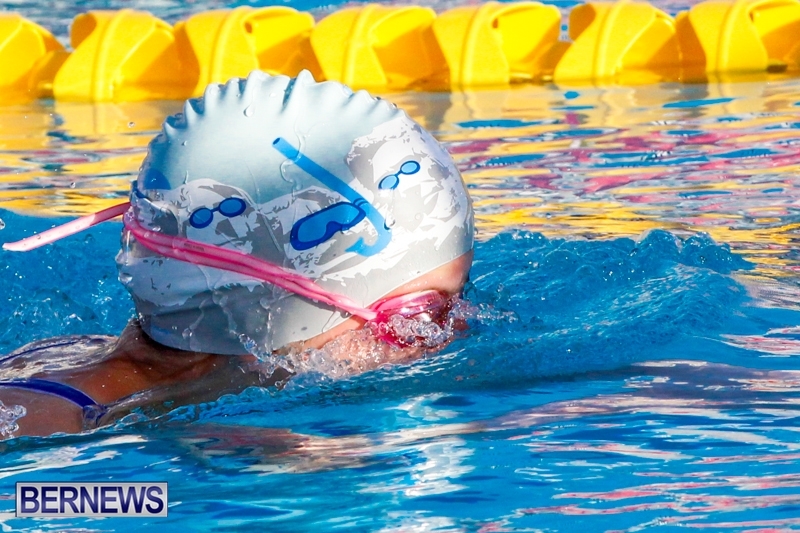 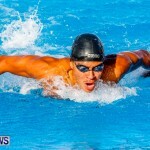 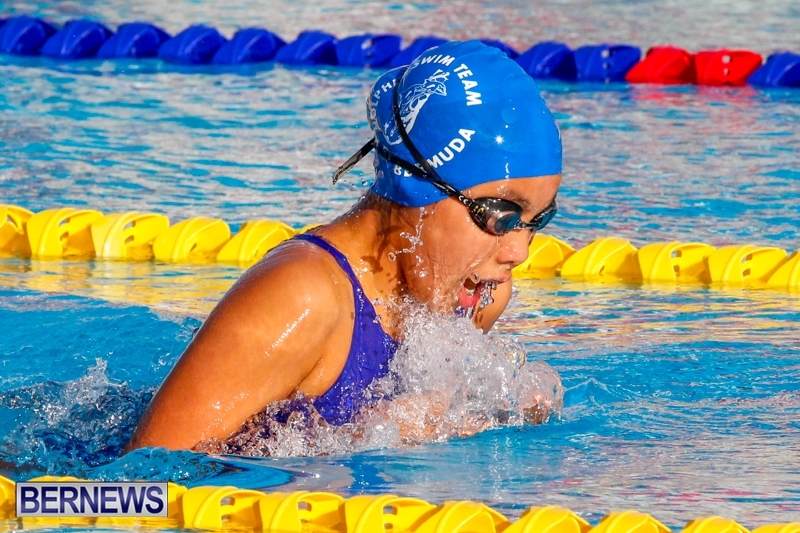 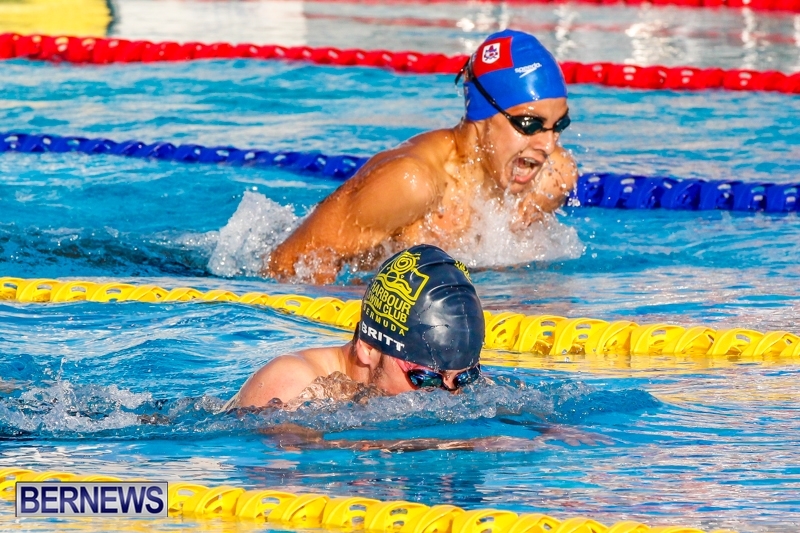 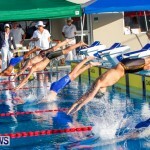 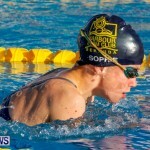 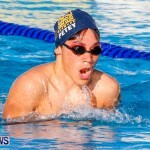 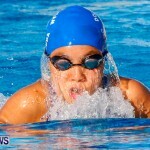 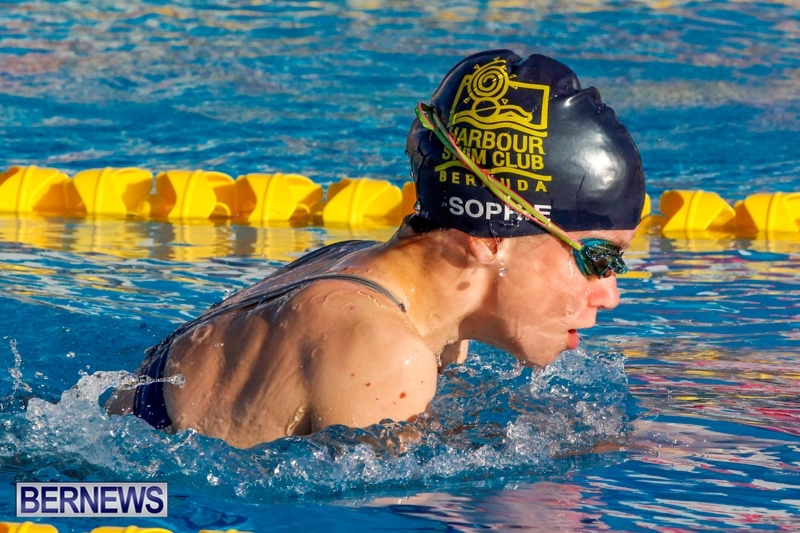 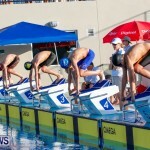 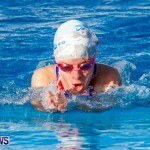 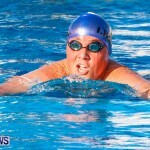 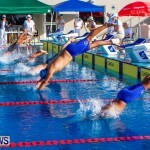 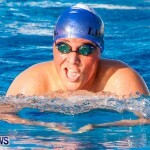 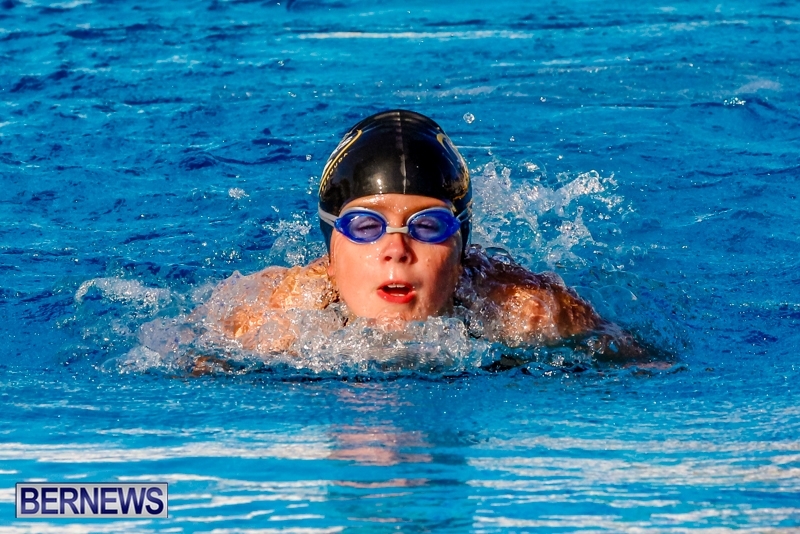 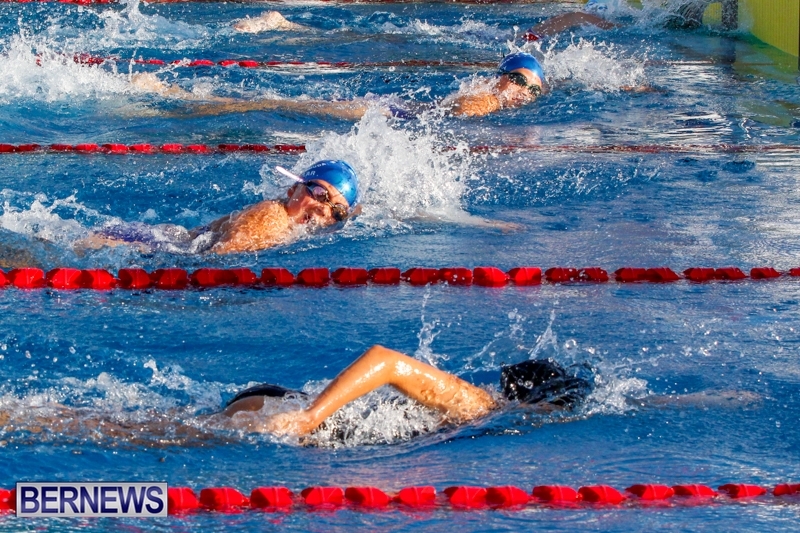 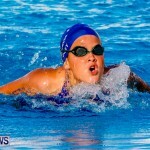 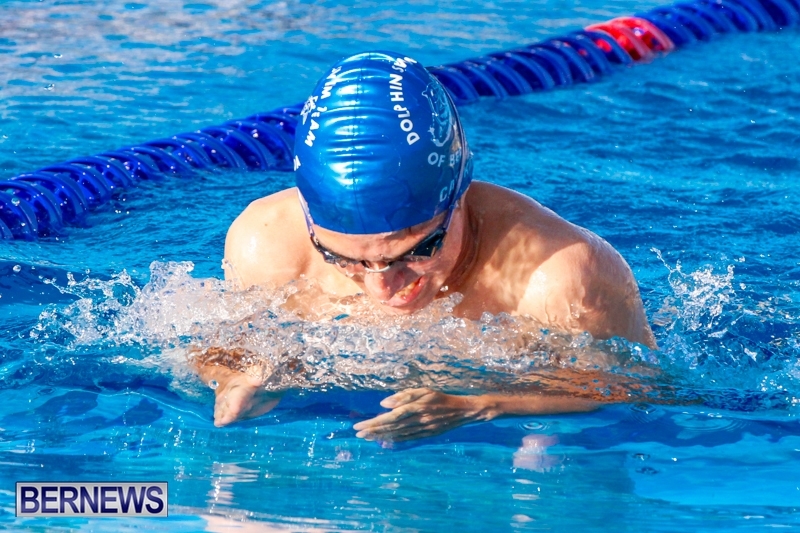 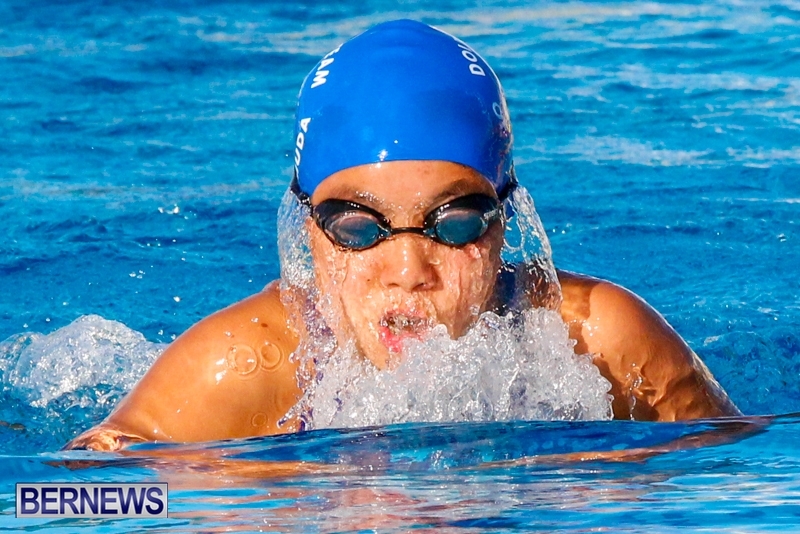 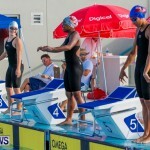 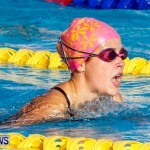 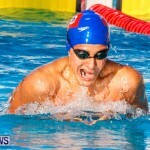 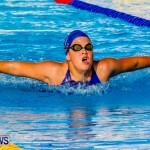 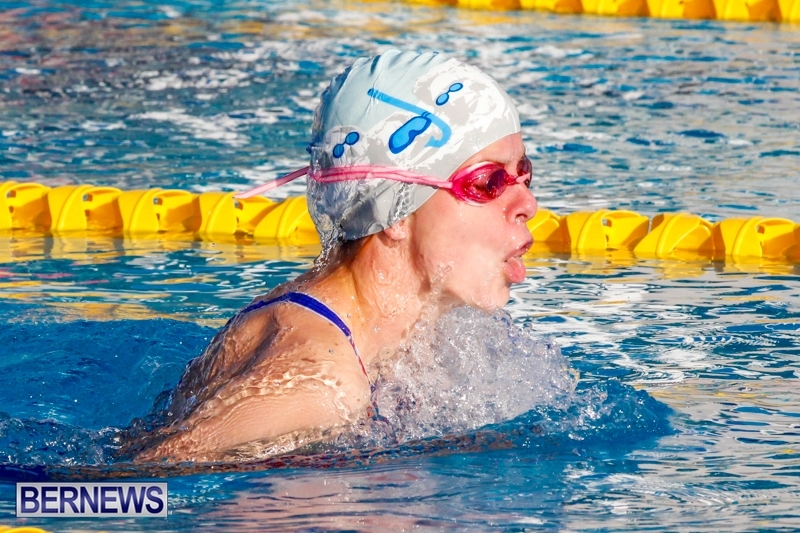 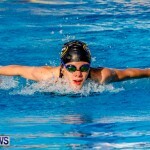 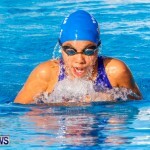 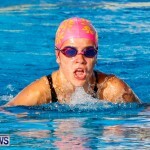 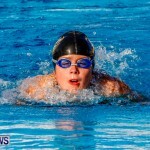 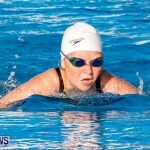 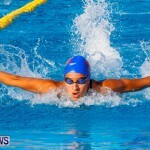 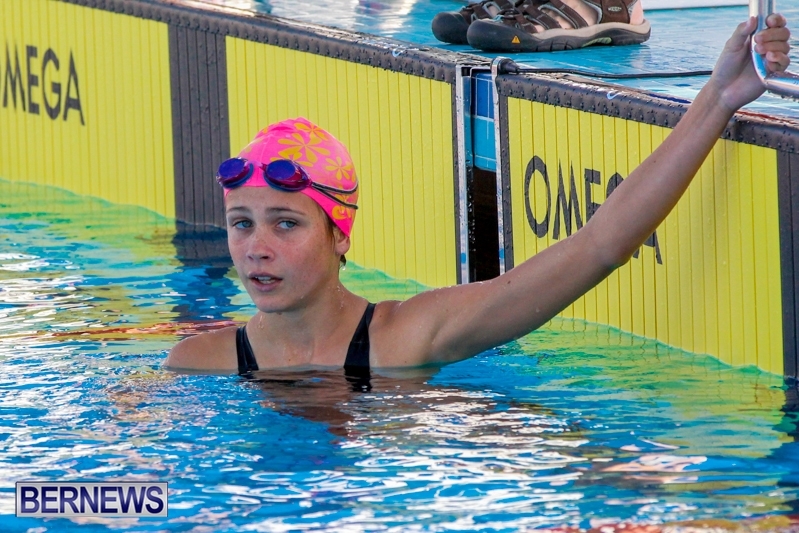 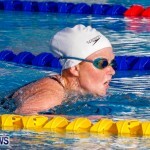 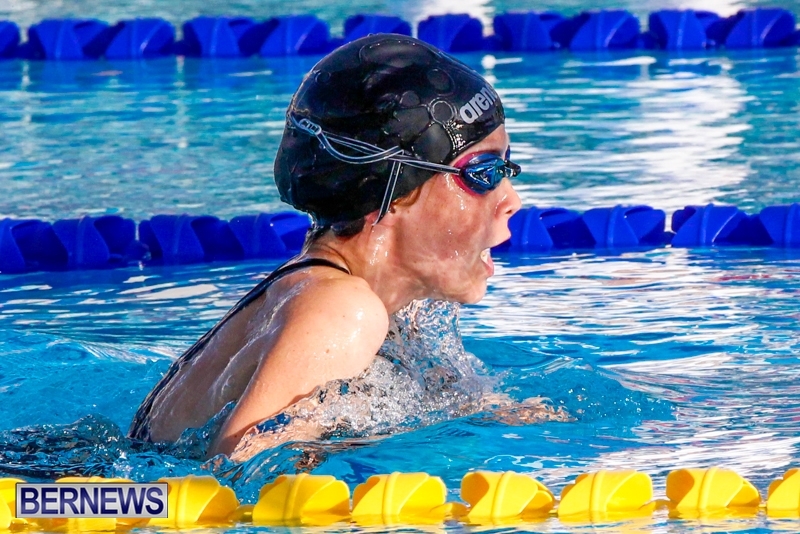 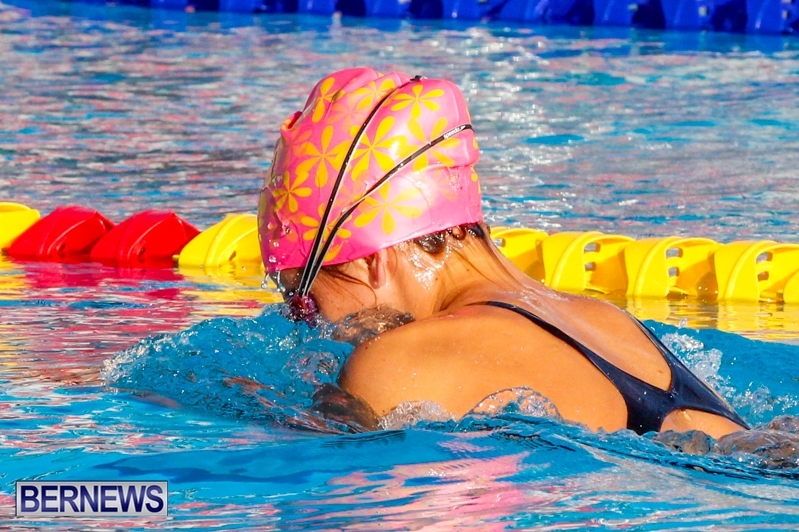 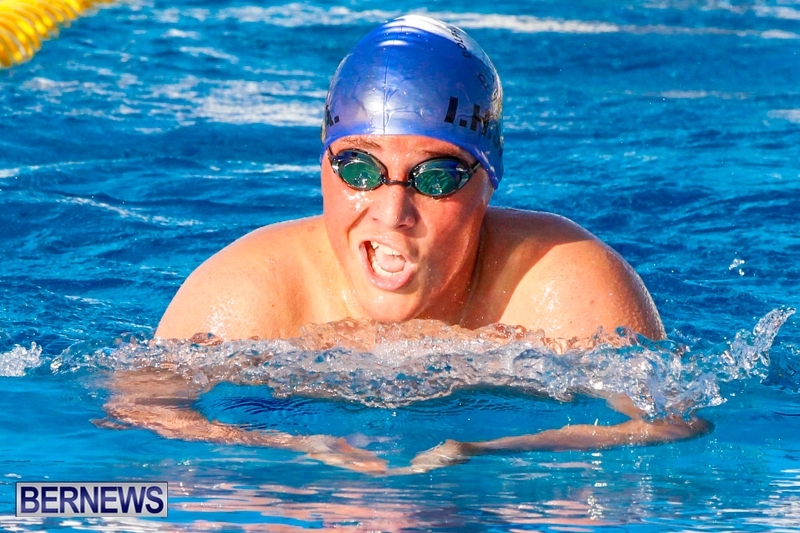 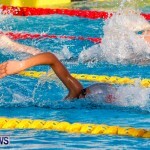 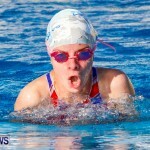 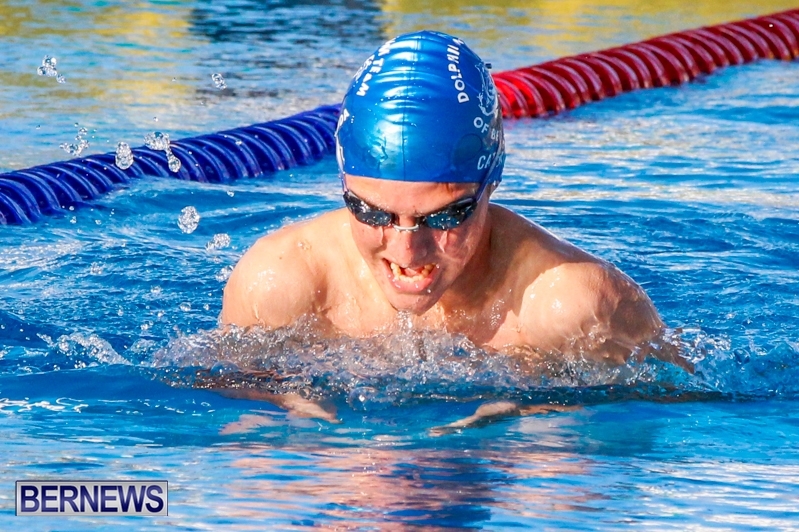 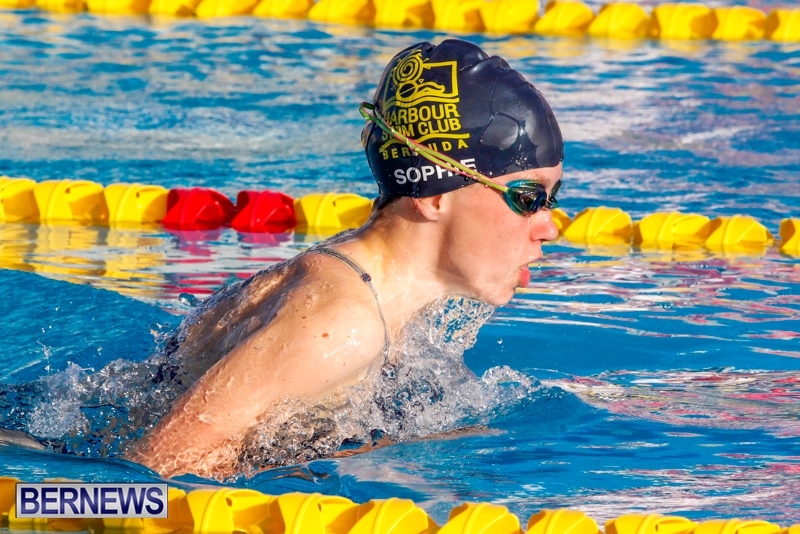 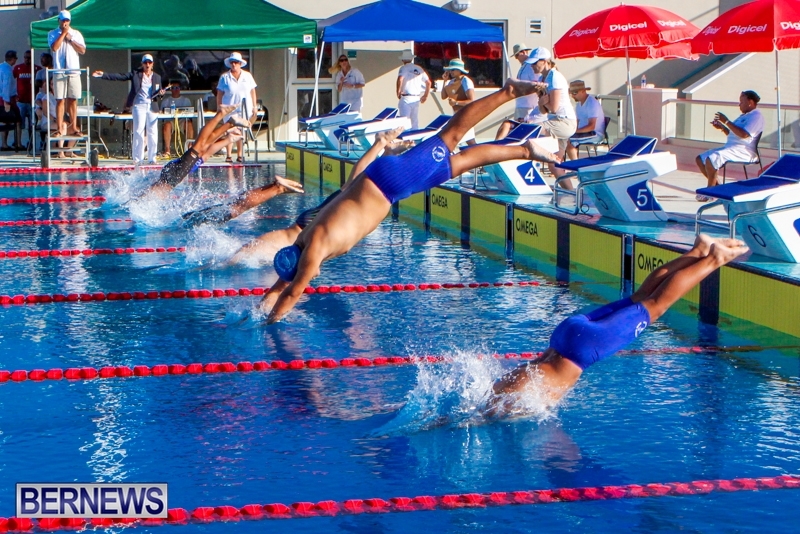 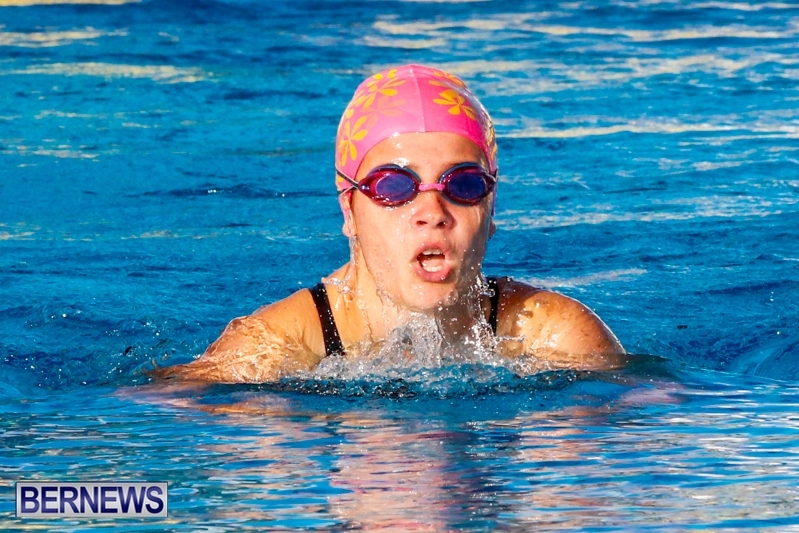 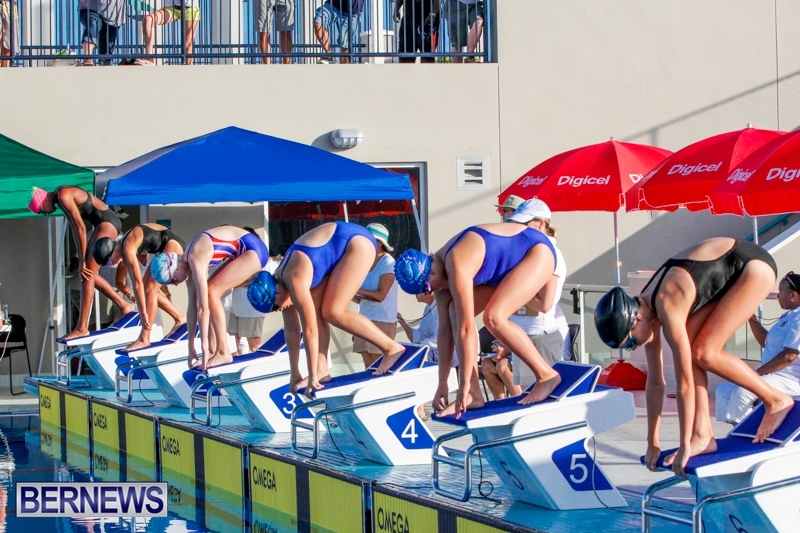 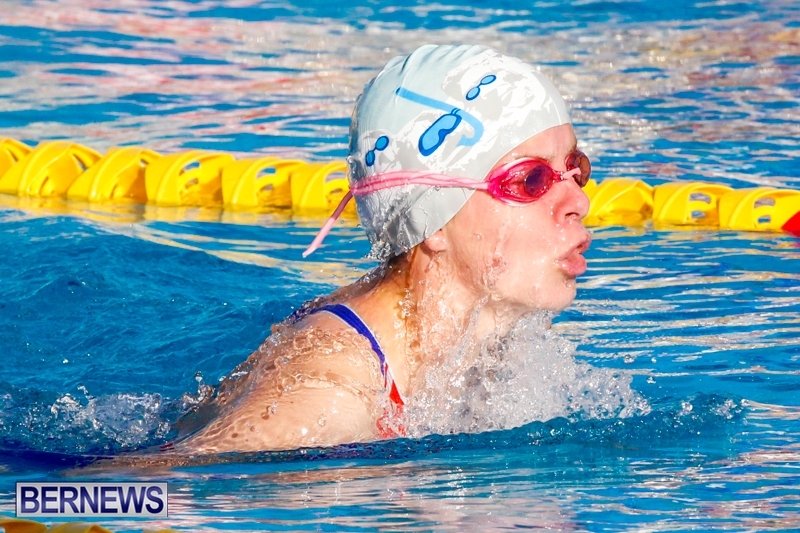 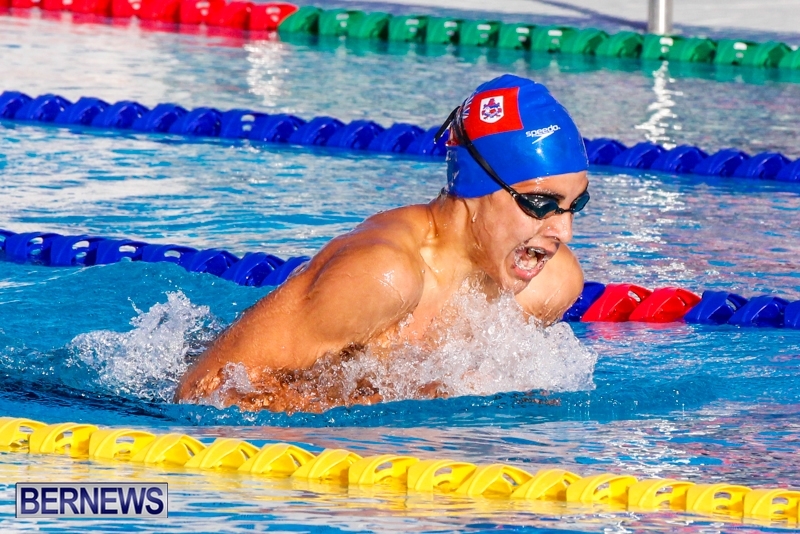 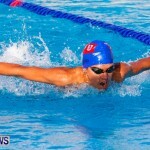 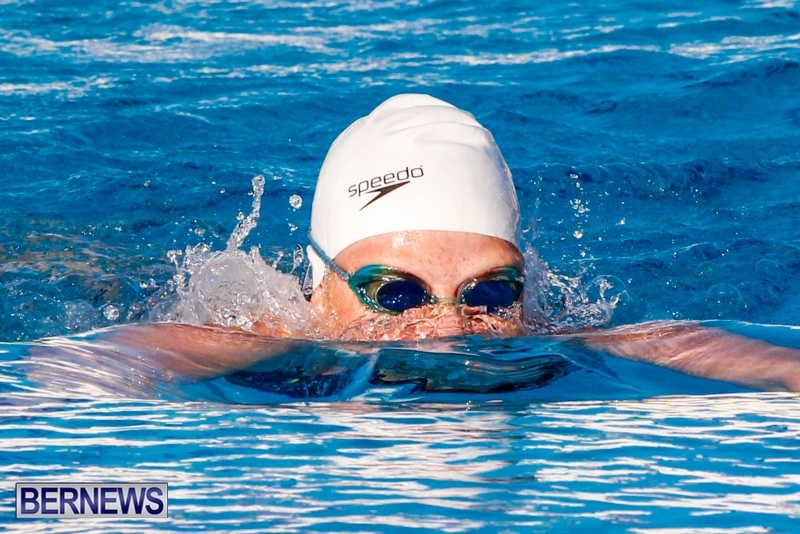 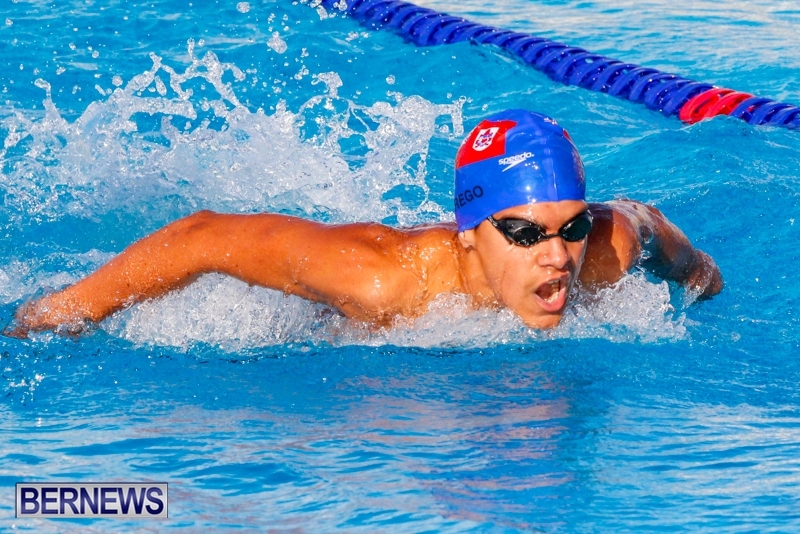 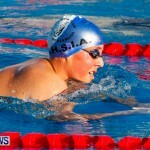 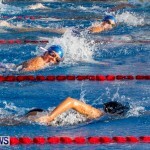 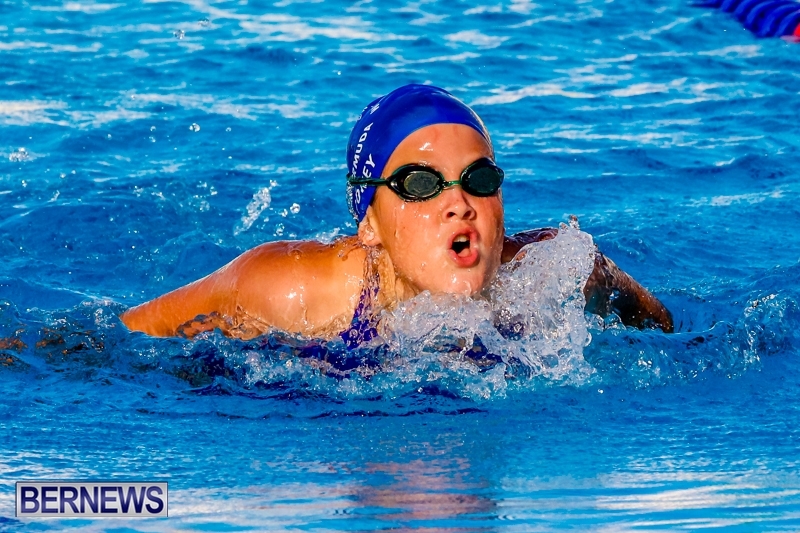 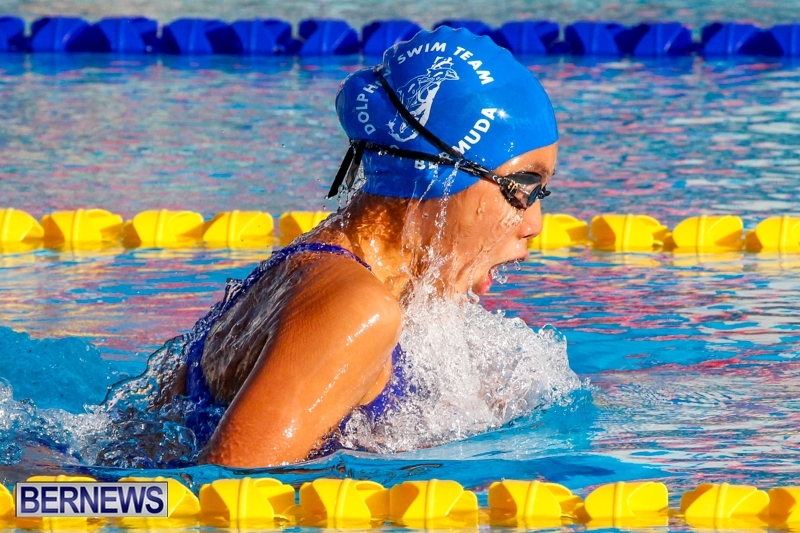 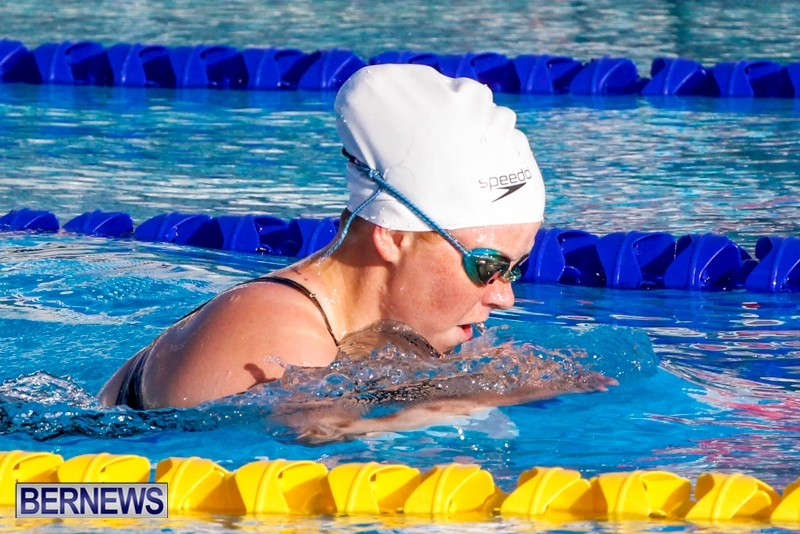 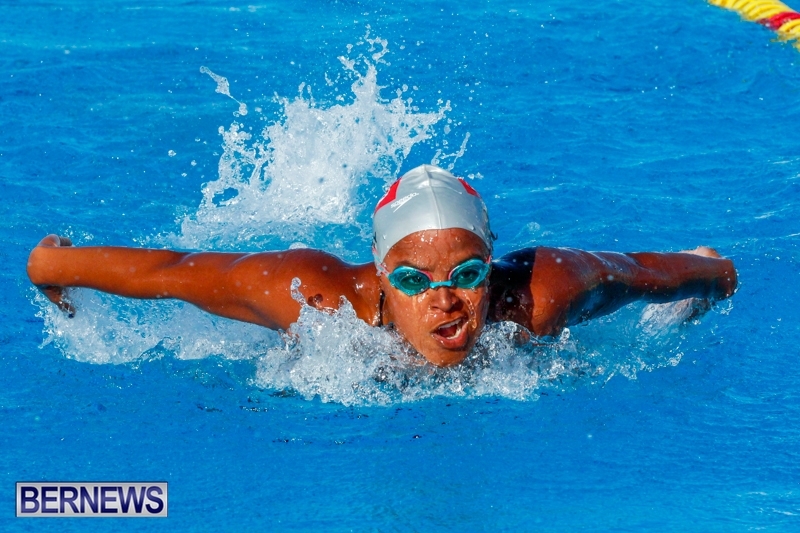 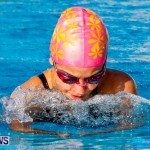 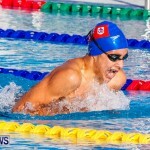 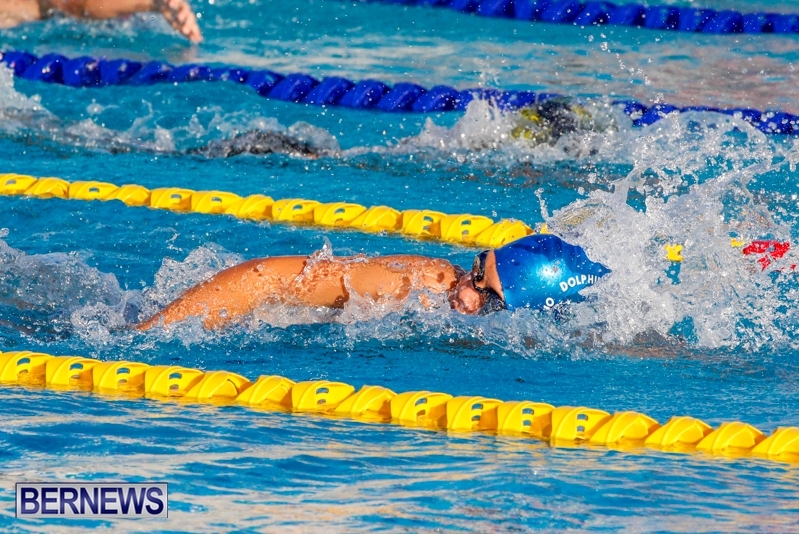 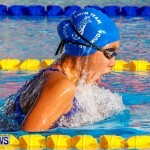 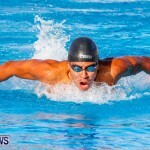 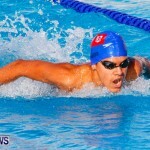 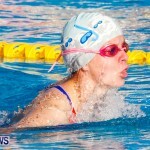 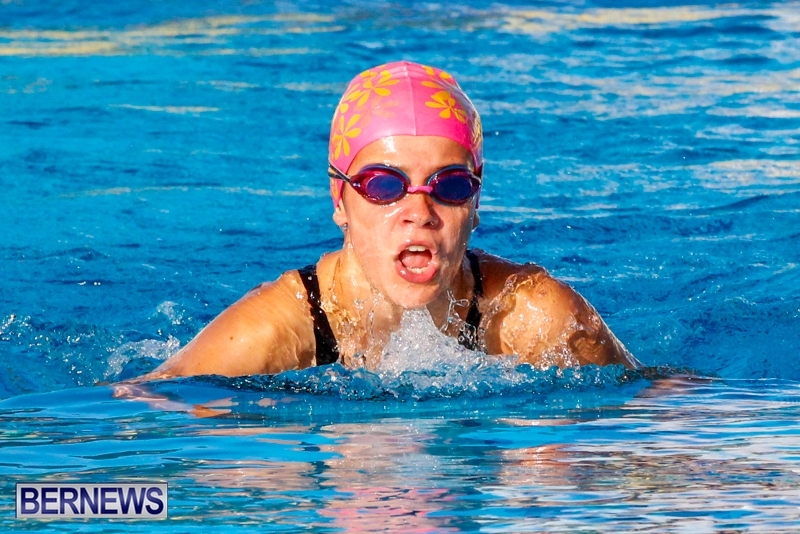 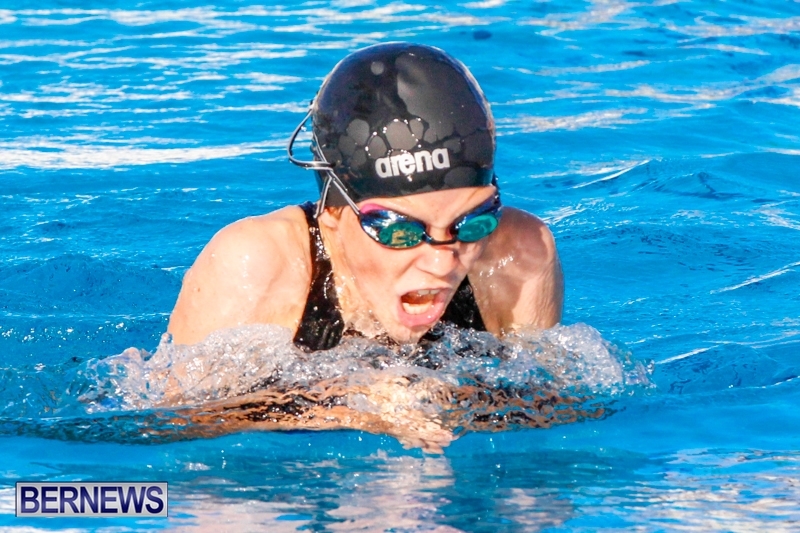 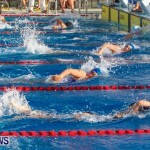 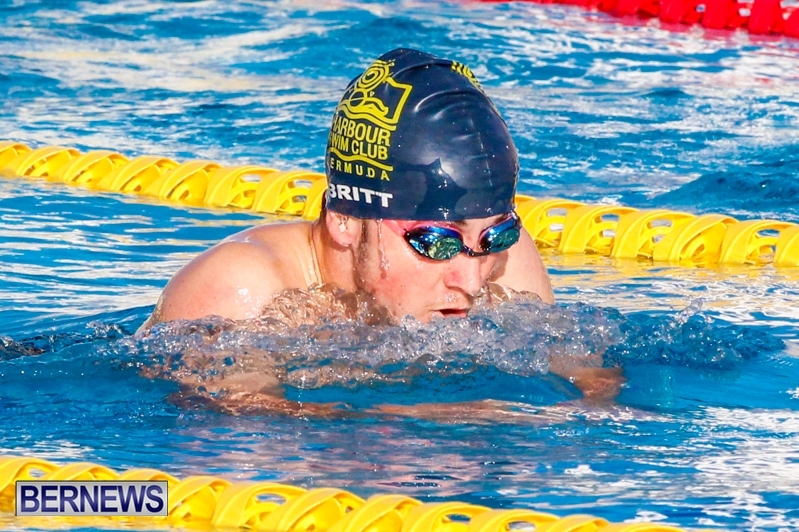 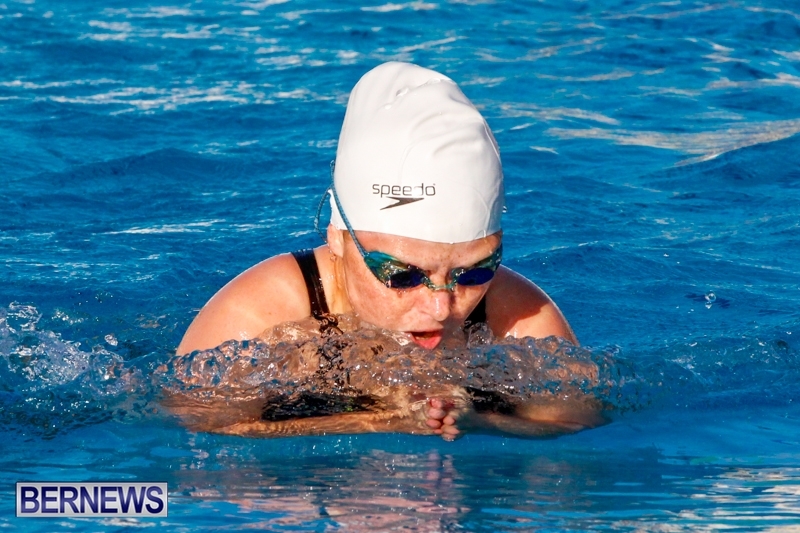 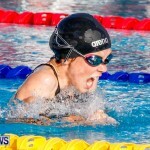 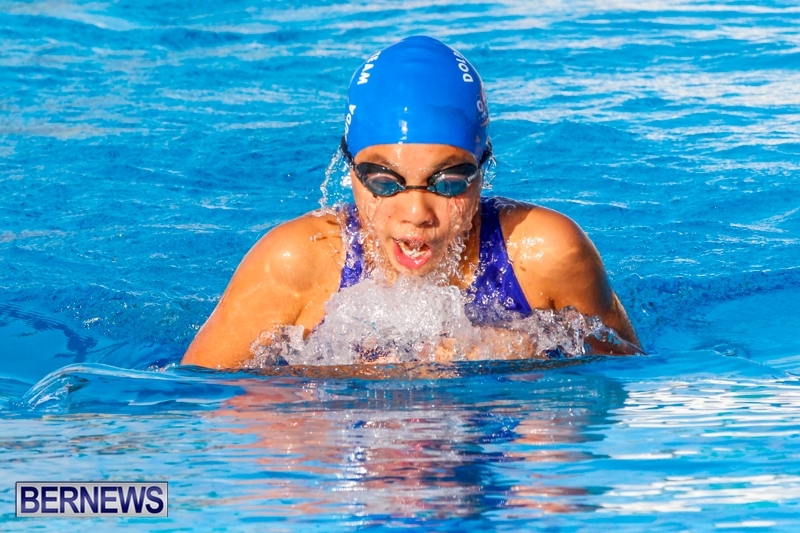 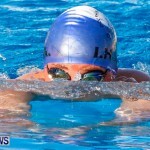 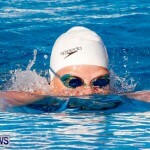 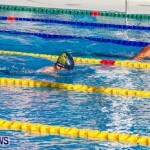 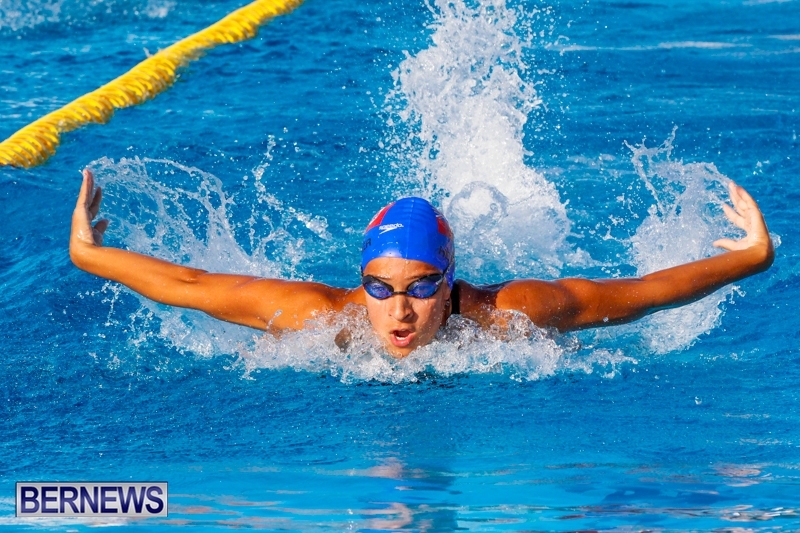 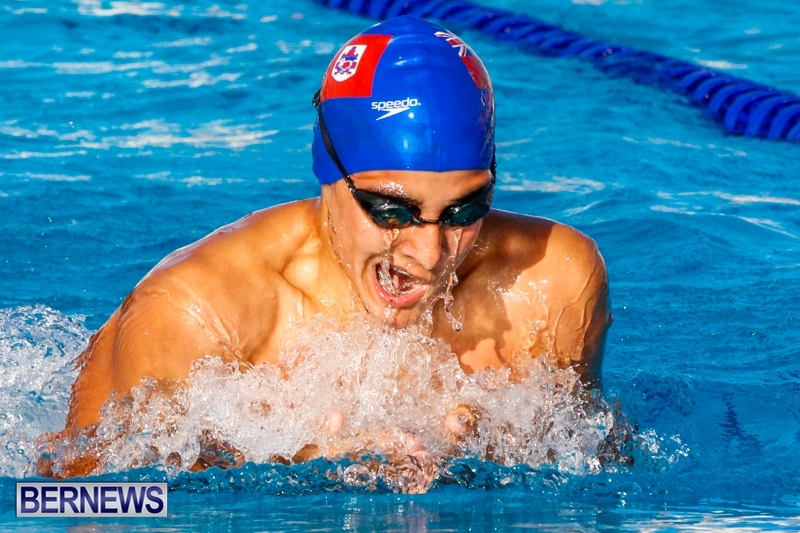 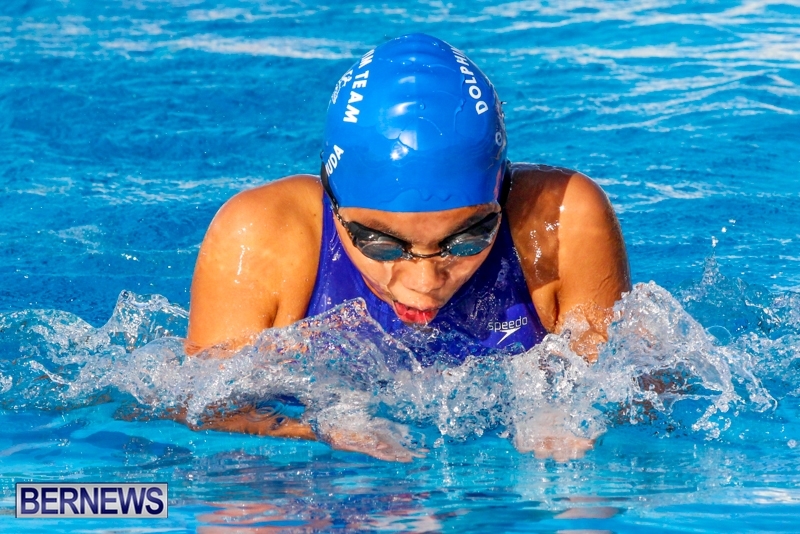 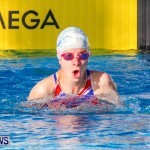 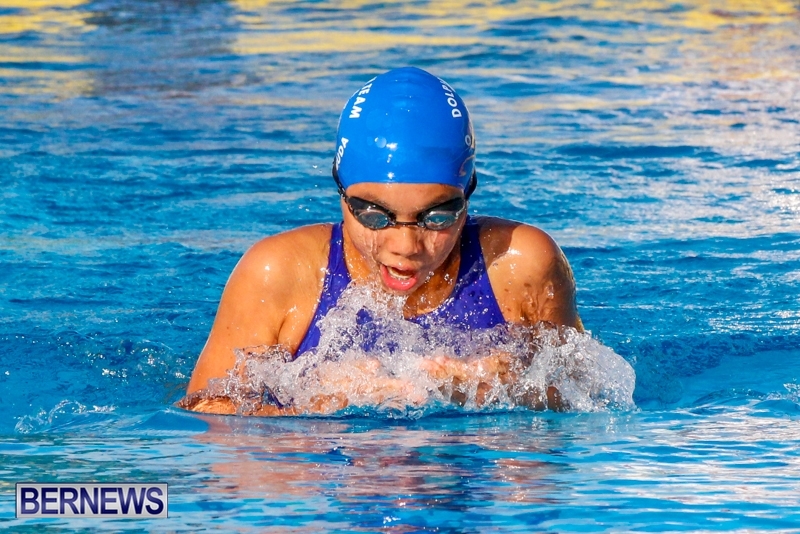 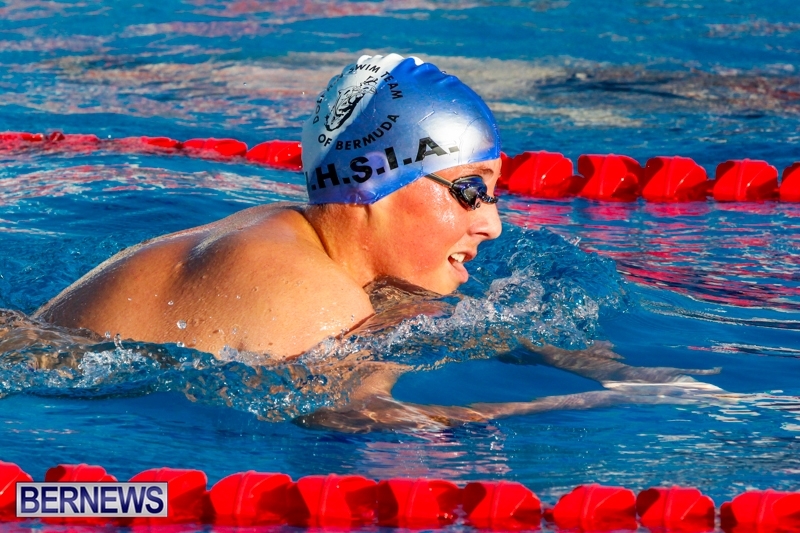 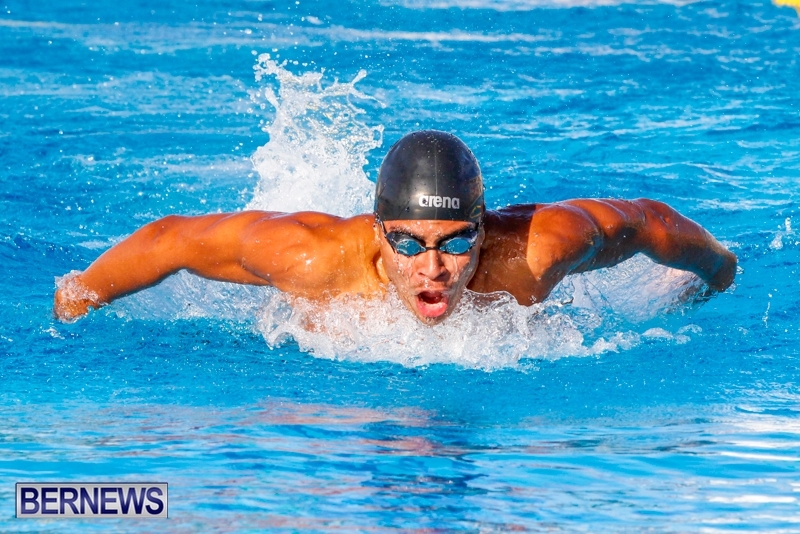 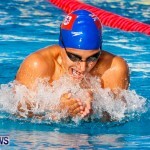 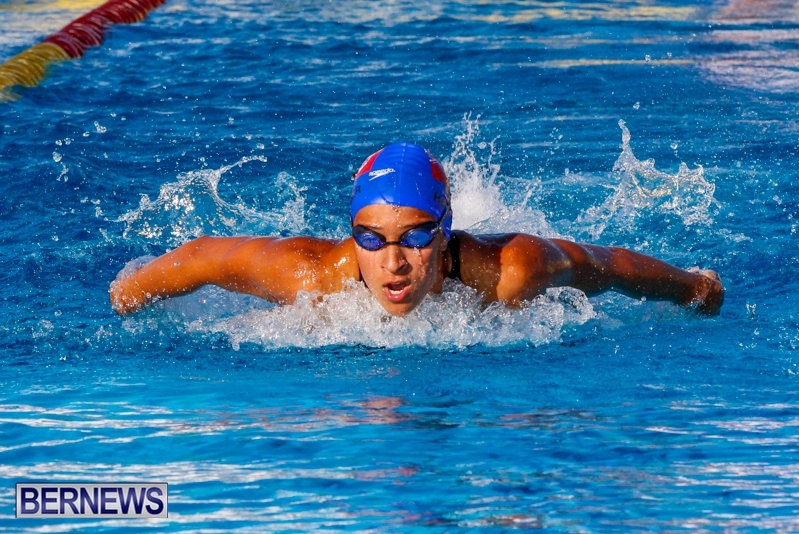 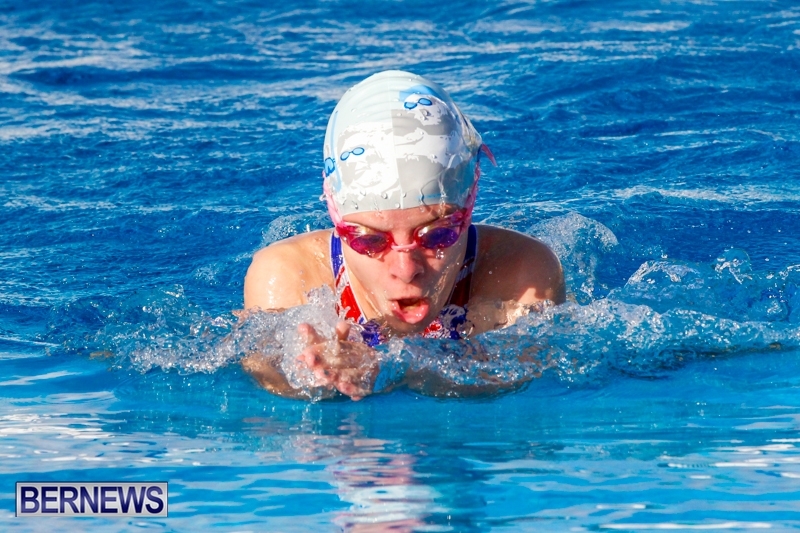 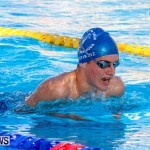 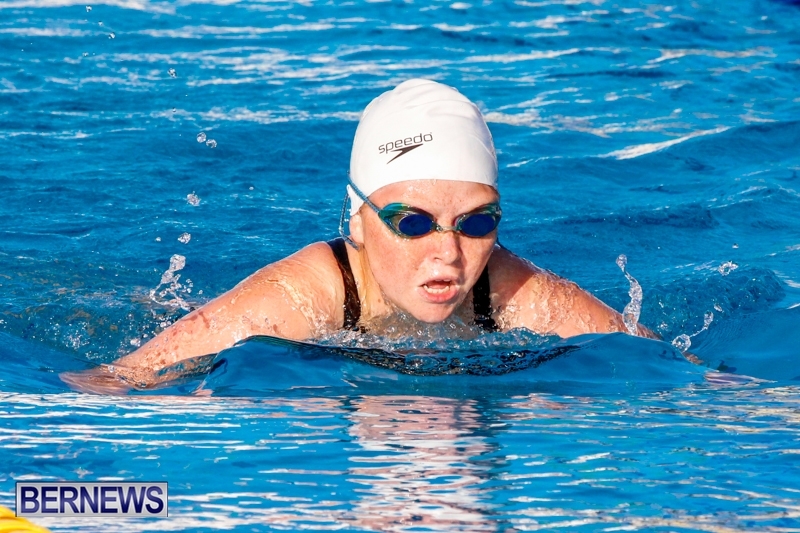 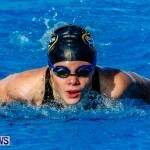 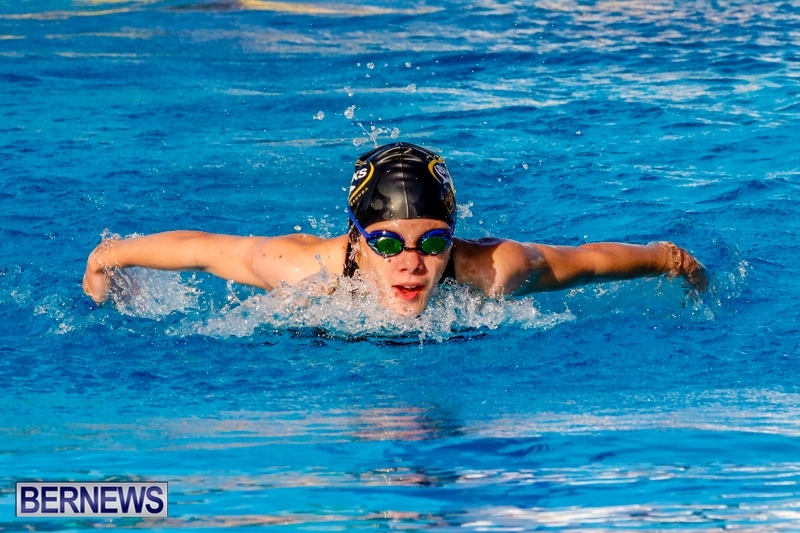 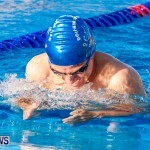 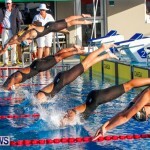 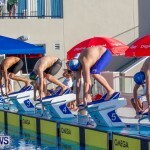 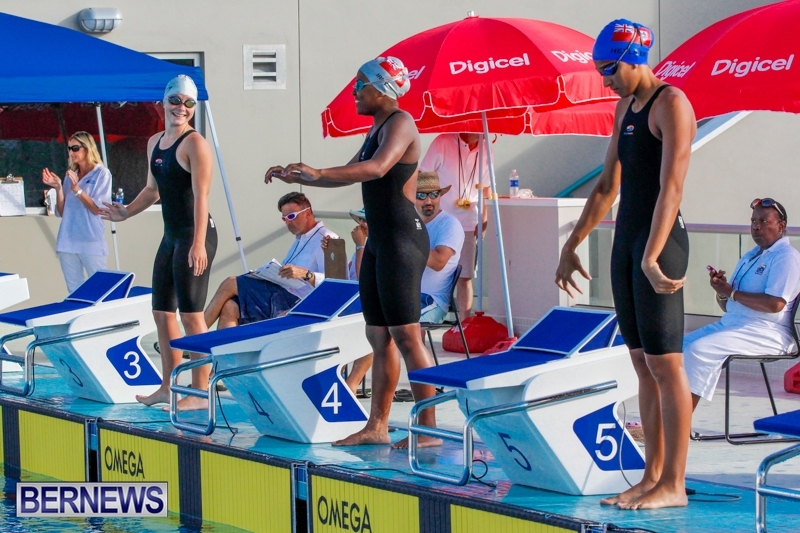 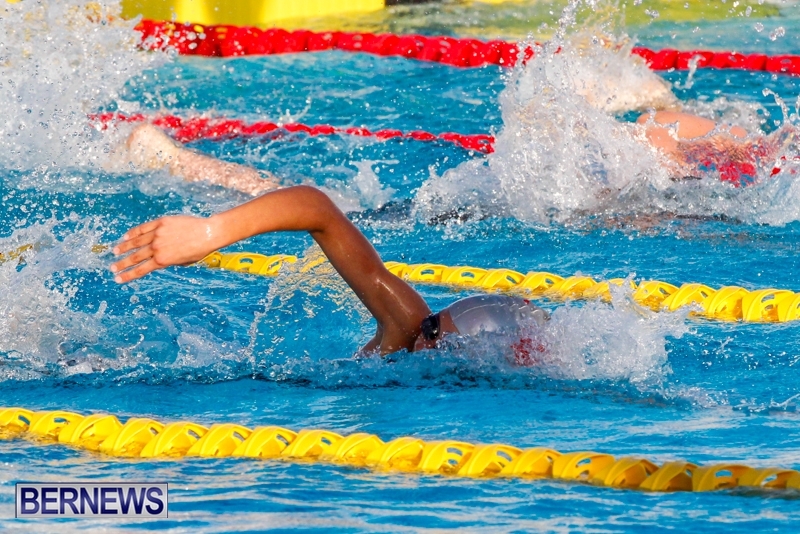 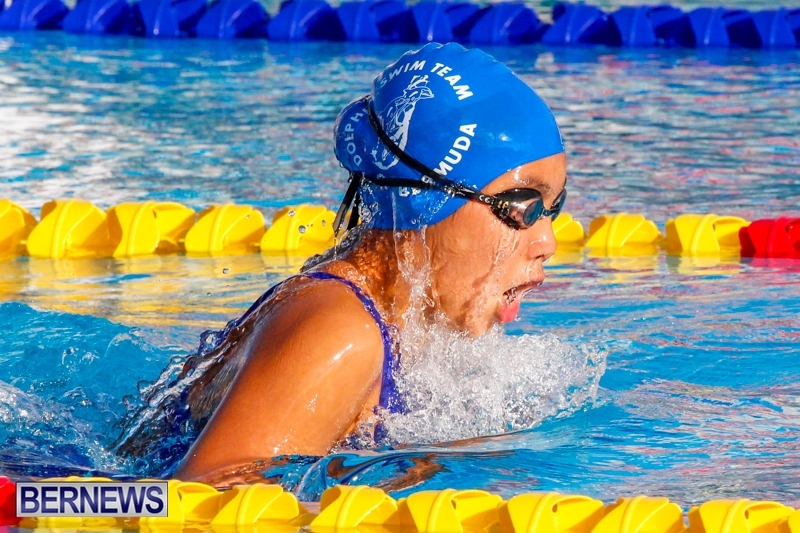 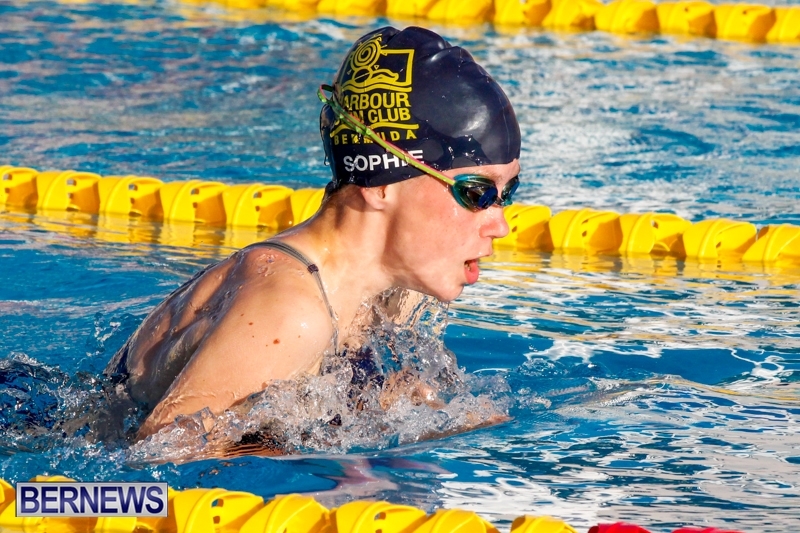 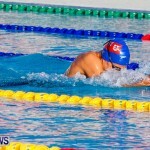 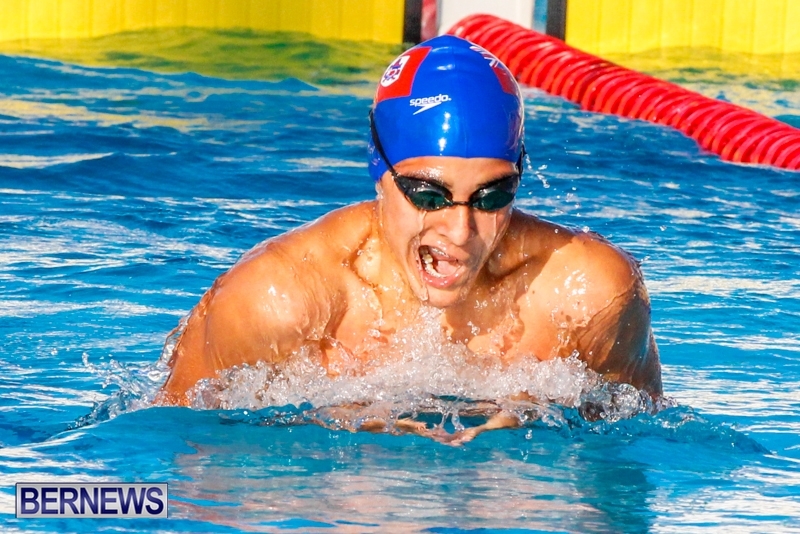 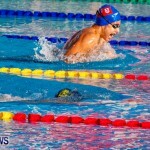 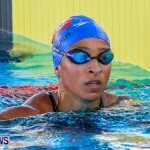 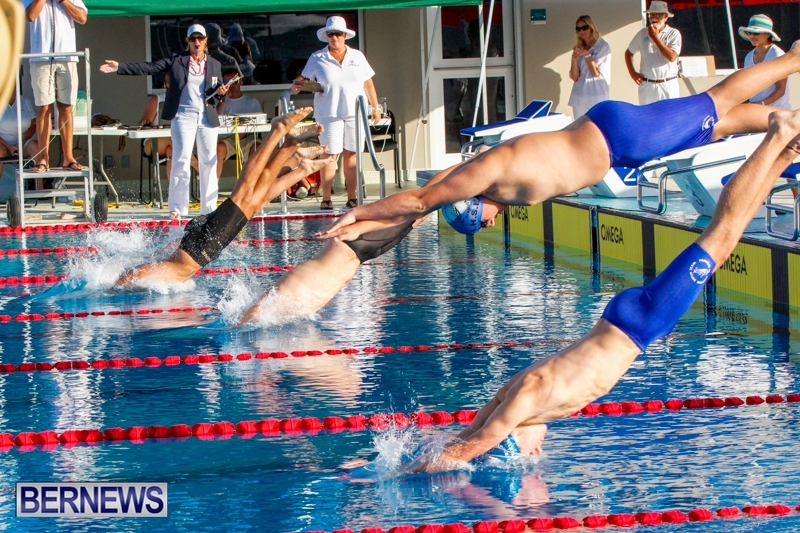 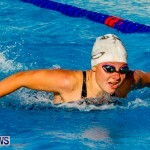 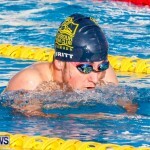 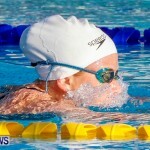 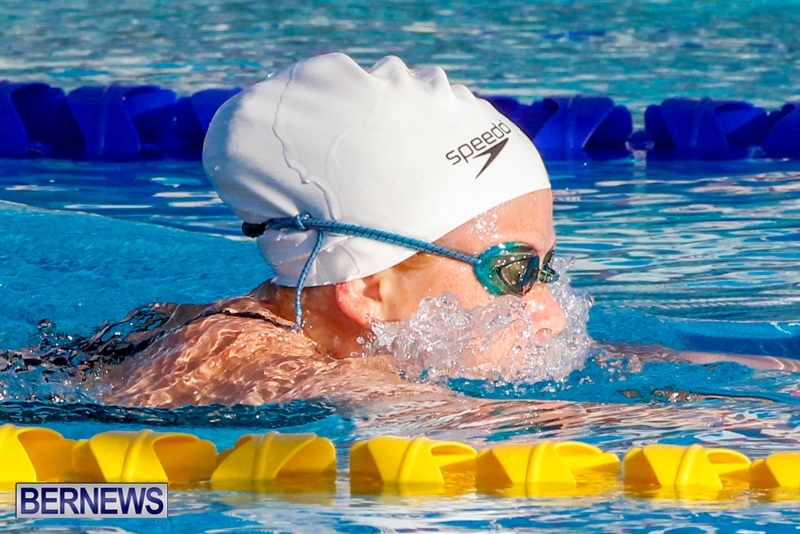 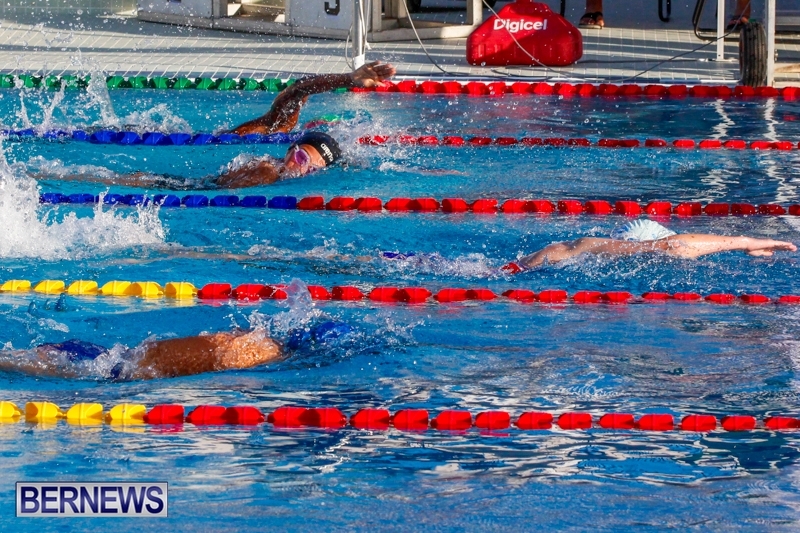 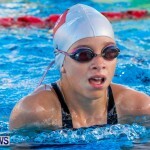 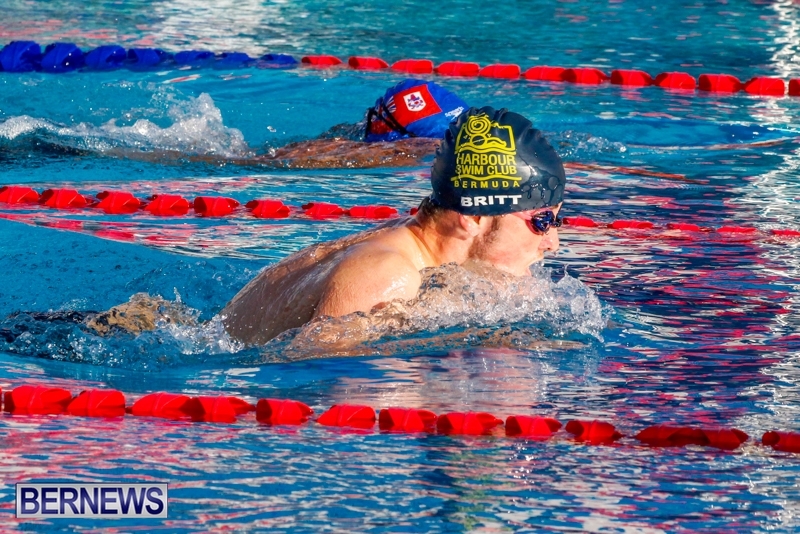 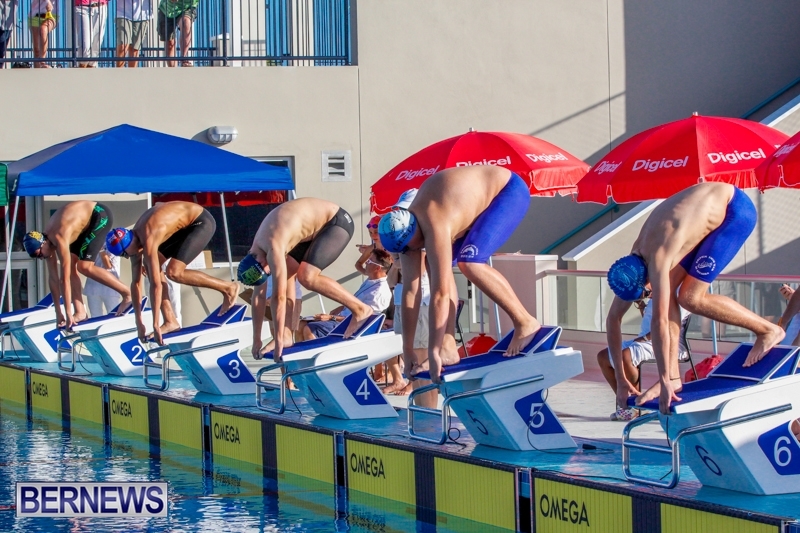 The Bermuda Amateur Swimming Association’s Bermuda National Swimming Championships came to an end at the National Aquatics Center on Sunday [June 9]. 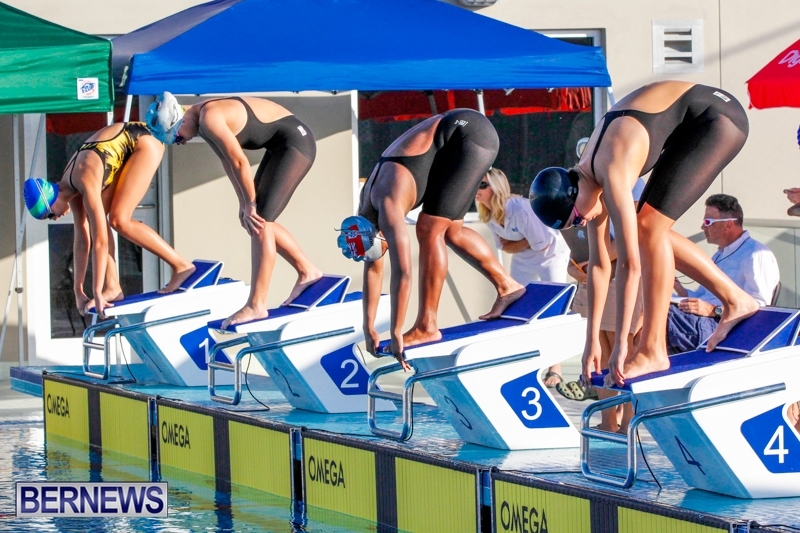 Ashley Irby won the Girls 12 & Under 200m Freestyle A Final touching the wall in a time of 2:18.18, Emma Harvey finished second in 2:25.57 and Alyssa Paynter finished third with a time of 2:28.35. 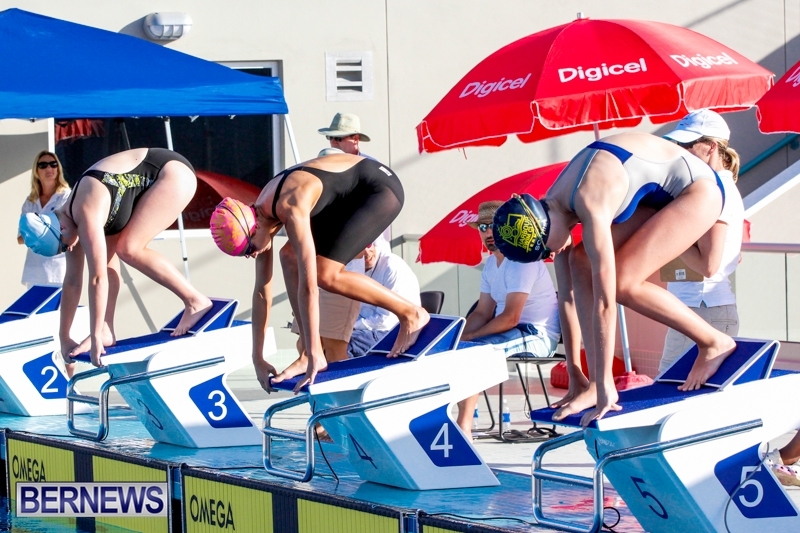 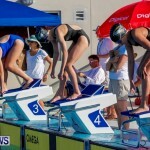 During the Girls 13 & Over 200m Freestyle A Final, Rebecca Heyliger finished first with a time of 2:09.68, Shannon Hassell finished second clocking 2:12.17 and Madelyn Moore finished third with a time of 2:13.57. 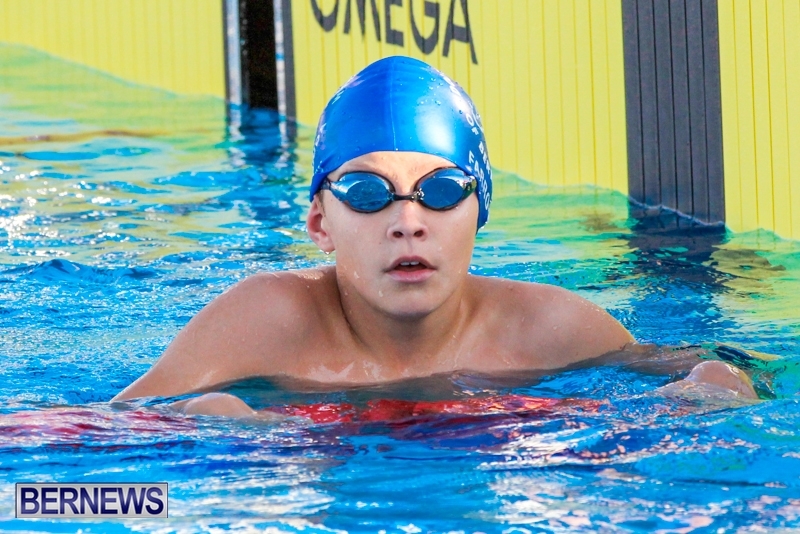 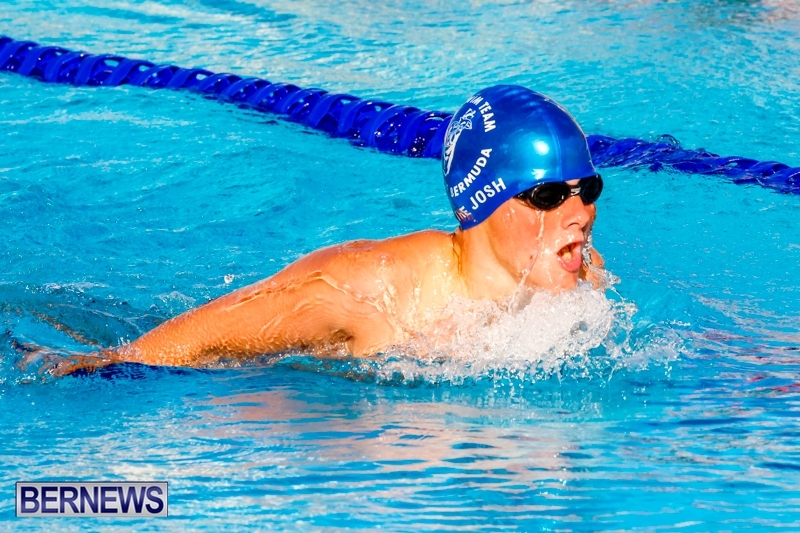 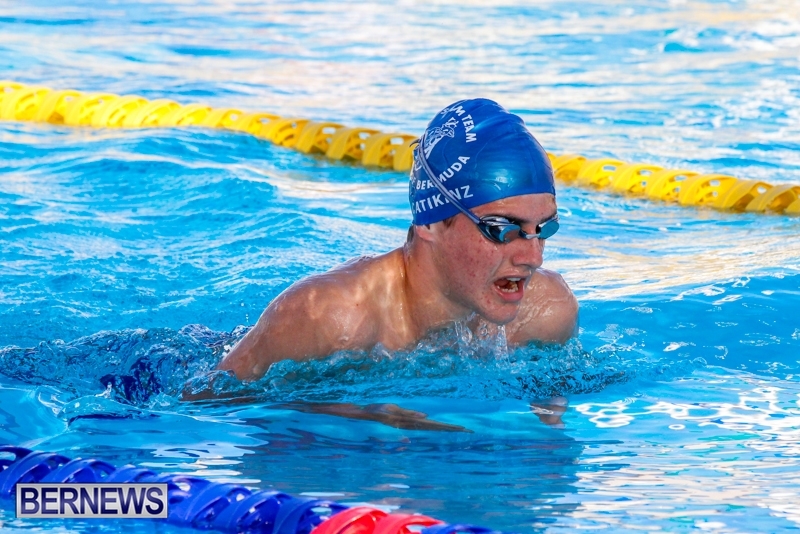 Evan Farrow clocked 2:26.08 on his way to winning the Boy’s 12 & Under 200m Freestyle A Final with a time of 2:26.08, Jude Moseley finished second with a time of 2:28.87 and Alex Pilgrim finished third clocking 2:32.55. 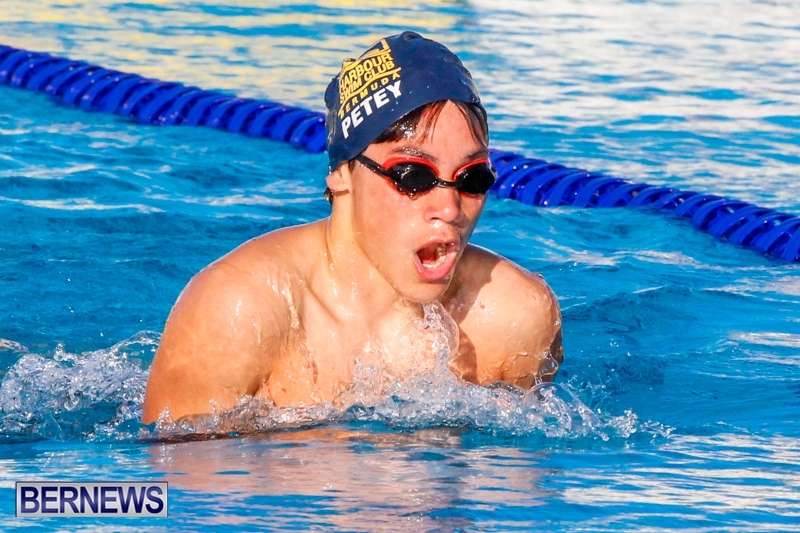 Jesse Washington powered his way to victory in the Boy’s 13 & Over 200m Freestyle A Final clocking a time of 1:59.09, Andrew Beveridge finished second with a time of 2:00.82 and Philip Hagen clocked 2:03.11.